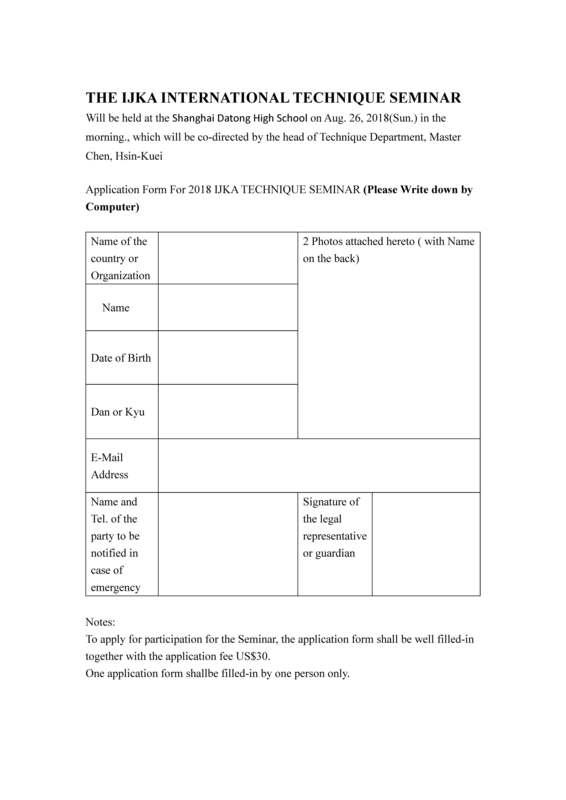 We are receiving multiple applications from India for the IJKA membership. Currently, the organization ran by Mr. SRINIVASAN is the only IJKA certified branch in India. 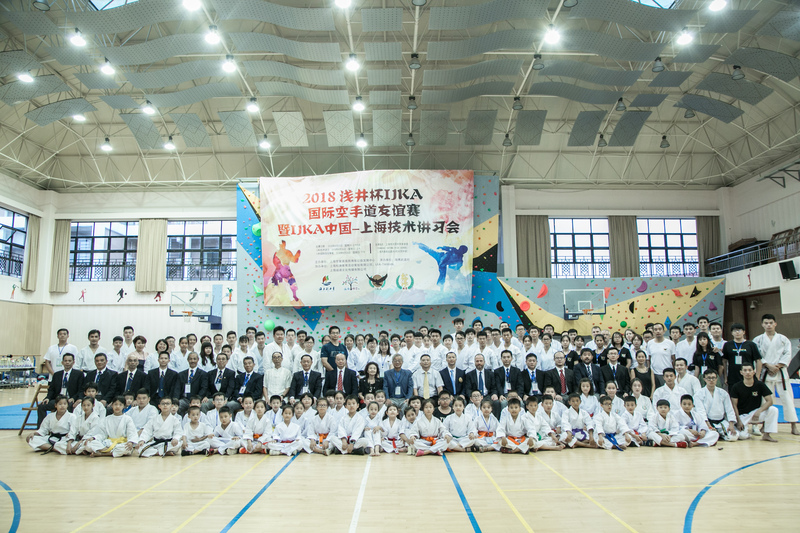 "2018 IJKA Asai Cup IJKA International Martial Arts Karatedo Friendship Tournament " closed with a great success on August 25 in Shanghai, China. 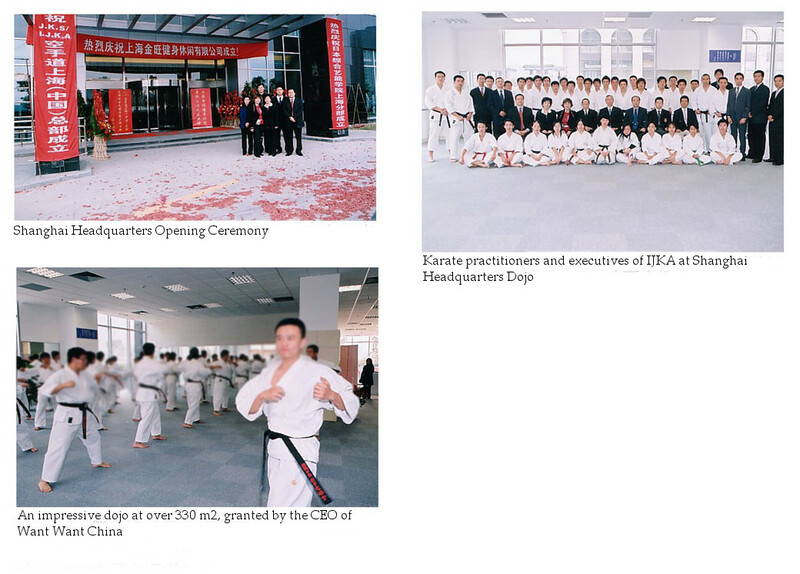 International Japan martial arts Karatedokai IJKA was originally founded in Shanghai in 2004, with the support of the CEO of the WantWant group Mr. Tsai Eng-meng. Many of Master Tetsuhiko Asai's disciples and newly-joined karate-ka from all over participated in the event in this memorable location. 1000 km, 300 km, 2000 km, and 1500 km) participants came with high spirits. 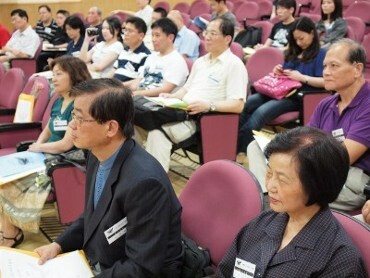 Participants came also from Taiwan, Europe, Japan and Germany. The tournament was a great success. 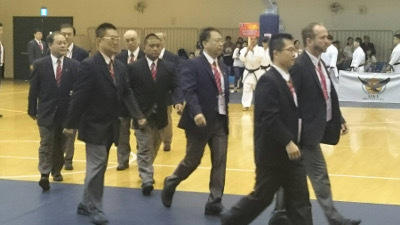 IJKA conducts traditional dan certification exams. 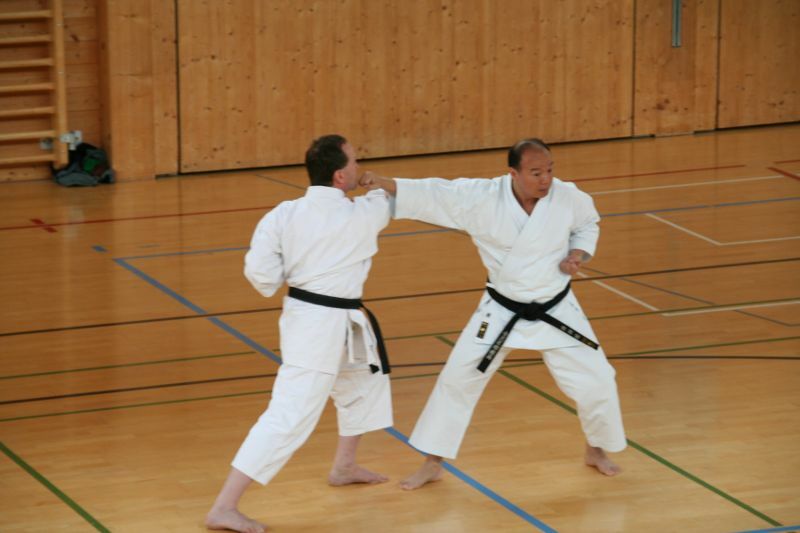 All judges are direct students of Master Asai for more than 30 years. 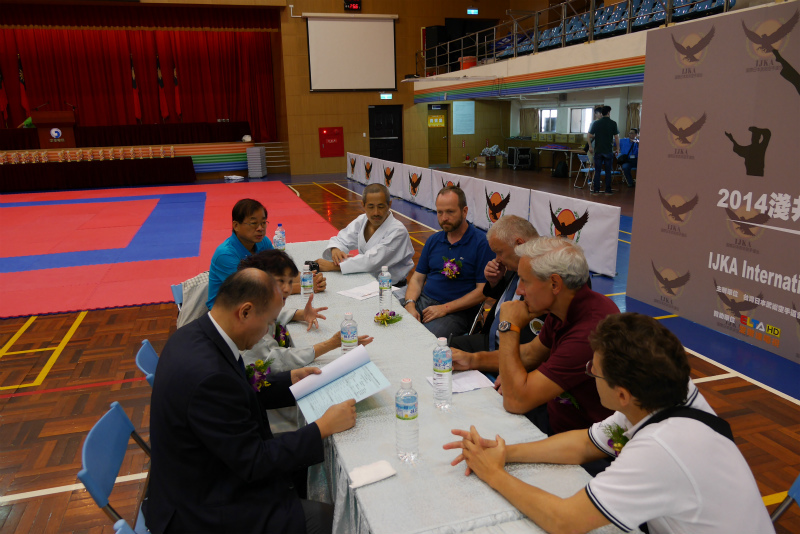 Mr. Chen Hsin-koei, Mr. Wang ruyu, Mr. Ji, Bang-Yen. or to start the long journey back home for work on Monday, before this group photo was taken. 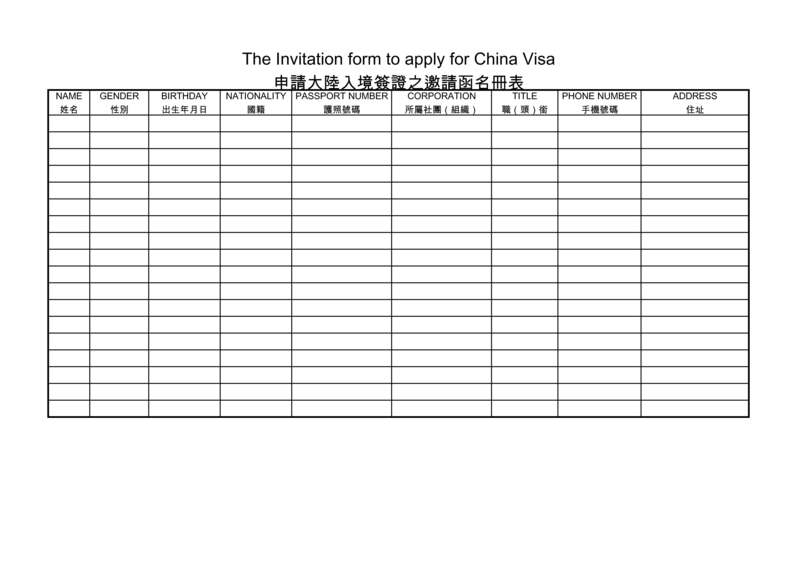 The number of applicants and enquires from across China continue to grow. 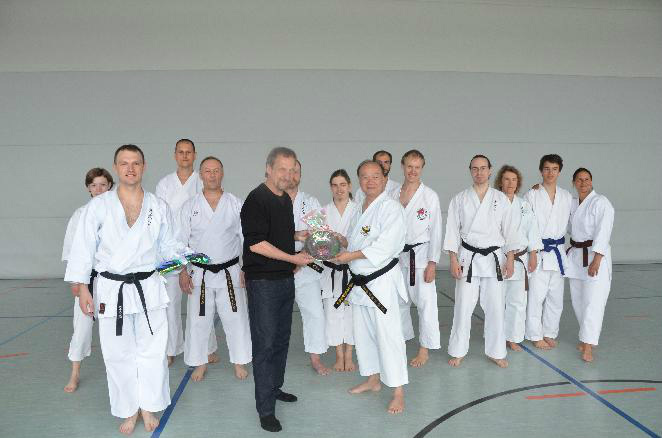 International Japan martial arts Karatedokai is Proud of Mr. Bruno Koller. 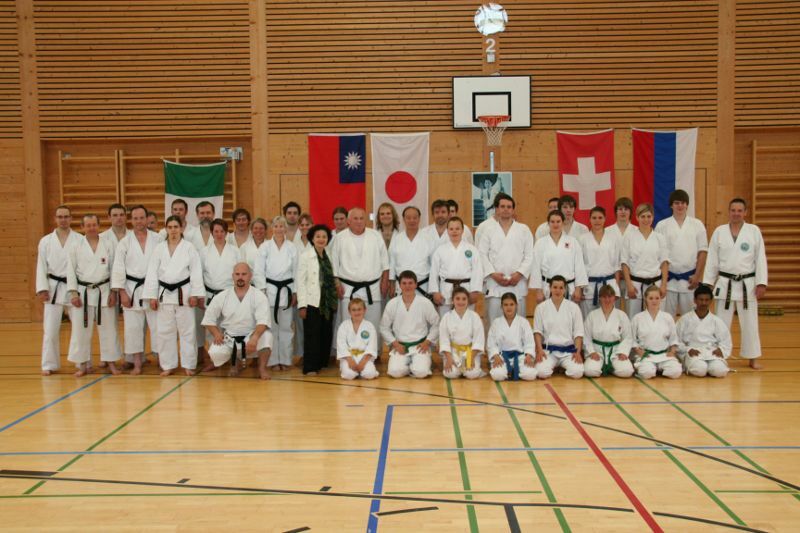 He had a very close relationship with the late Master Asai, and had been hosting the Asai Camp in Switzerland since when Master Asai was still with us. 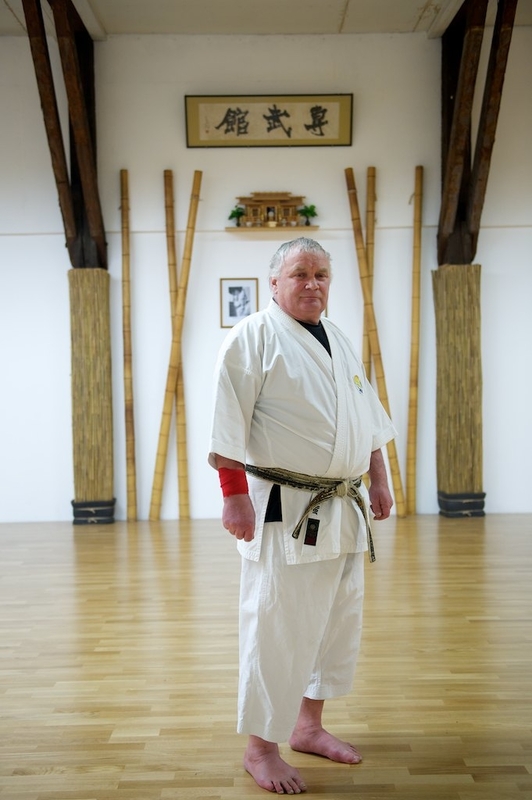 As soon as the news about Master Asai's passing reached Mr. Koller, he immediately set up an alter in his dojo and gave prayers with everyone there. 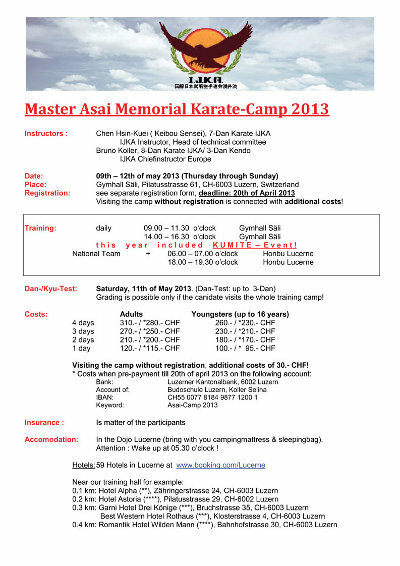 After the master窶冱 passing, Mr. Koller's Asai Camp become the Asai Memorial Camp. All the way from Switzerland, he came to participate in the technical seminars held in Taiwan, and devoted himself to training. He also attended every tournament between 2010 and 2016. Even after he fell ill in 2009, he continued to participate in the tournaments, with an accompaniment of a nurse. Normally, people in his condition would not take part in tournaments. Mr. Koller, however, showed the spirit of Bushido all the way to the end. 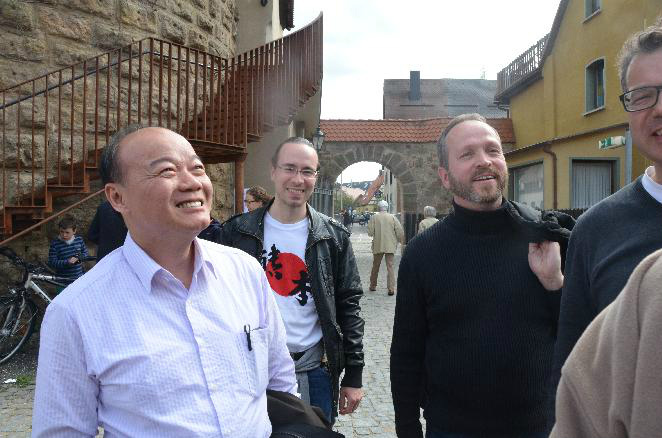 We, IJKA, is proud of Mr. Bruno Koller, and truly respect him from the bottom of our hearts. 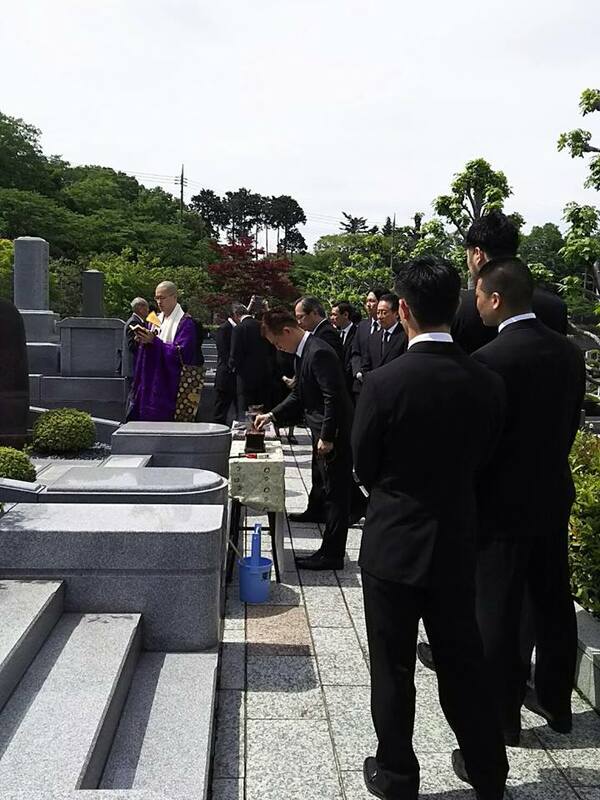 Buddhist memorial service was held at Tokyo Reien cemetery on May 12th in advance of the 13th anniversary of Master Asai窶冱 passing on August 15th. 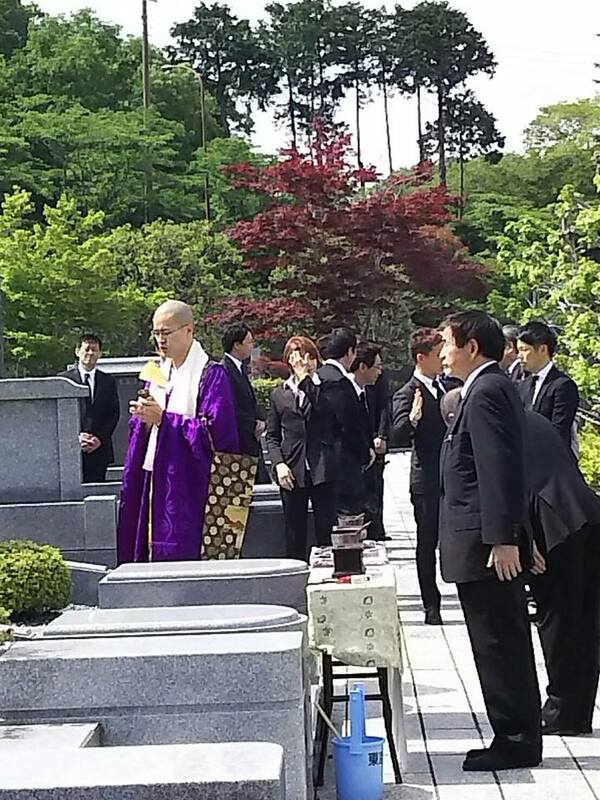 As with the 7th anniversary, the chief priest from the Hyaku Kannon Meiji Temple in Numabukuro, Tokyo lead the service. The service proceeded smoothly. 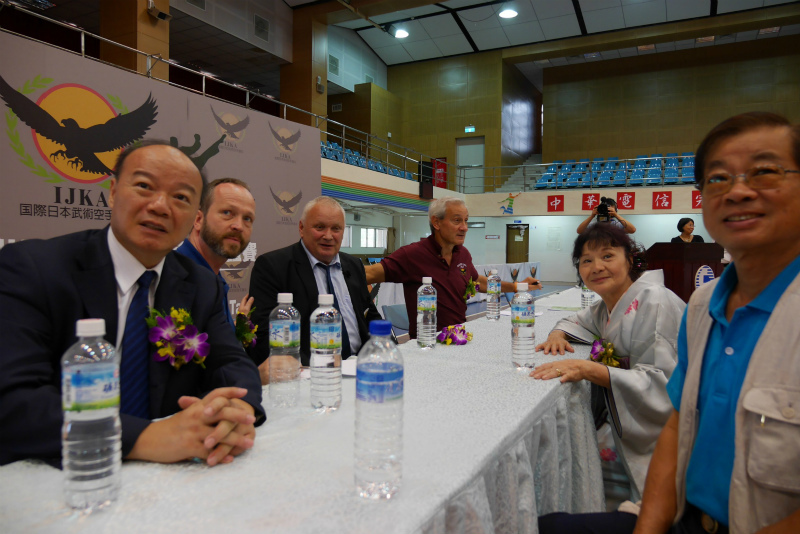 Many people, including those from the Theatre Academy and the karate organization JKS, both founded by the late Master Asai, kindly came and attended the service despite the hot weather. I would like to extend my sincere gratitude for those who came. 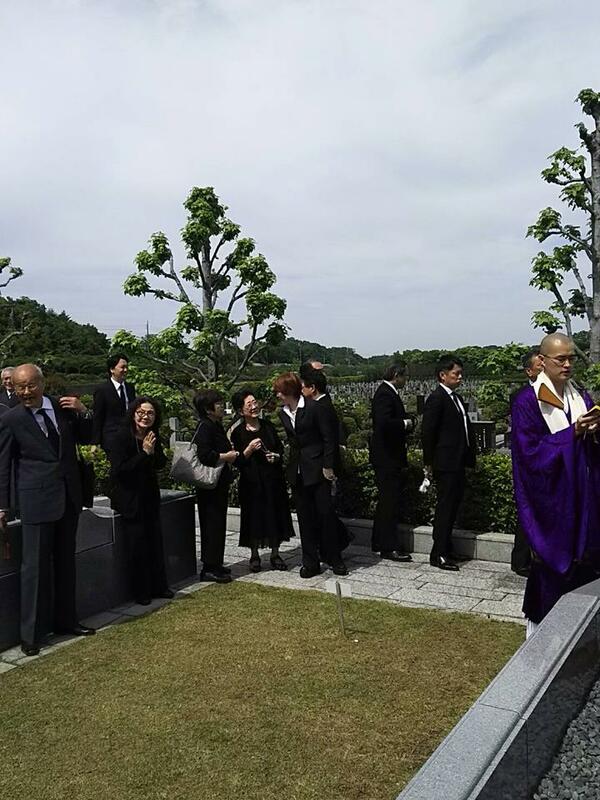 After the memorial service, I came home to receive the news that Bruno-san窶冱 funeral was held on the same day. What a happy coincidence, or fate, it was. I have no doubt that Master Asai came down to meet him, and the two men went to heaven together enjoying each other窶冱 company. Thank you, you two, for all the hard work you have done for karate. Please find a moment of rest in heaven. Thank you for those of you who came to the 13th memorial service. 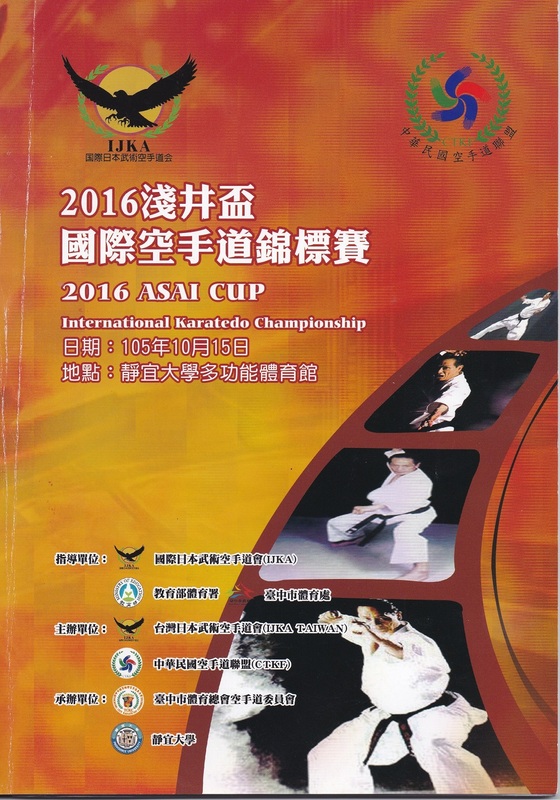 On August 25 and 26th this year, a workshop on Asai Karate is planned to be held concurrently to the 2018 Asai Cup Karatedo Tournament in Shanghai, China. 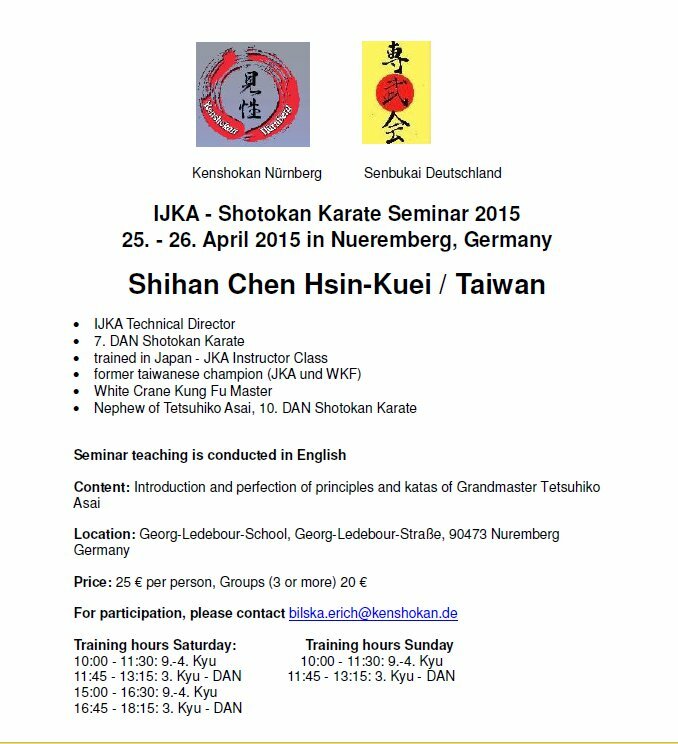 Those who do not belong to any karate organization are eligible for the workshop after registering for membership at Soke IJKA. 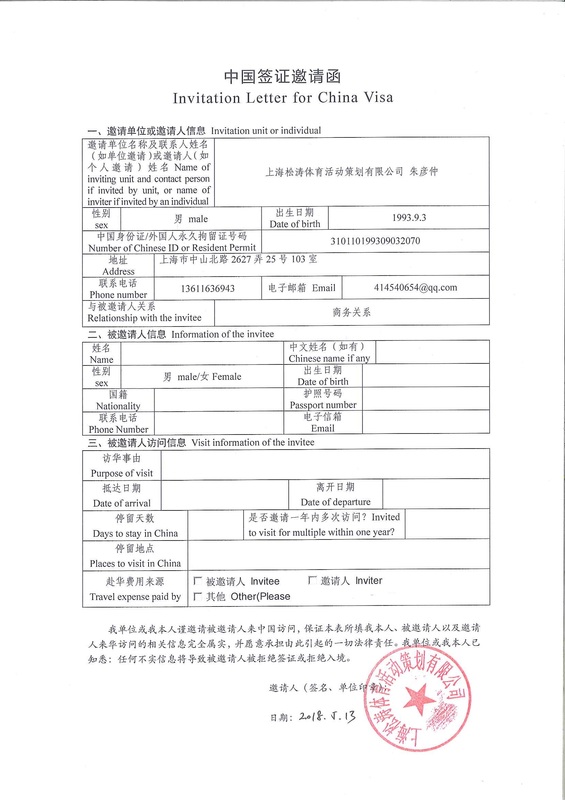 You can also apply for a membership at any time at Taiwan Sohonbu Doko Tetsuhiko Kan, and start practicing. 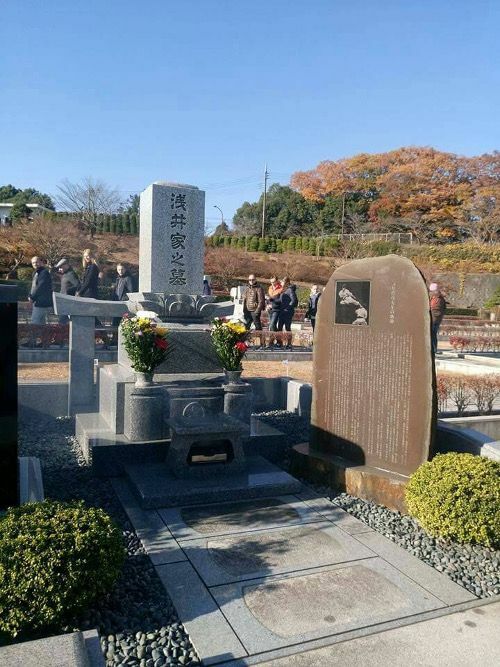 On December 6th last year, two hundred participants of the karate seminar who joined the event from abroad paid a visit to Master Asai窶冱 grave. 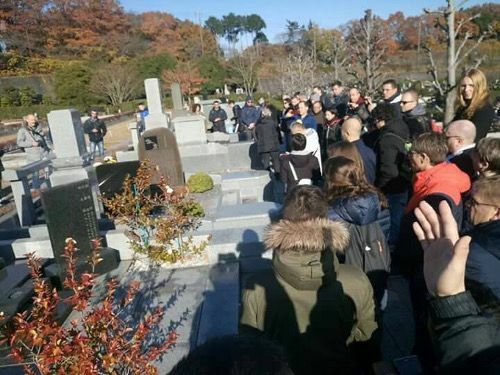 This year on December 4th, again a great number of people visited his grave, chartering two buses. I would like to express my sincere gratitude for those who came. Mr. Tsai Eng-meng, the CEO of Want Want China, has been practicing karate since he was 14 years old, and under the late Master Asai. 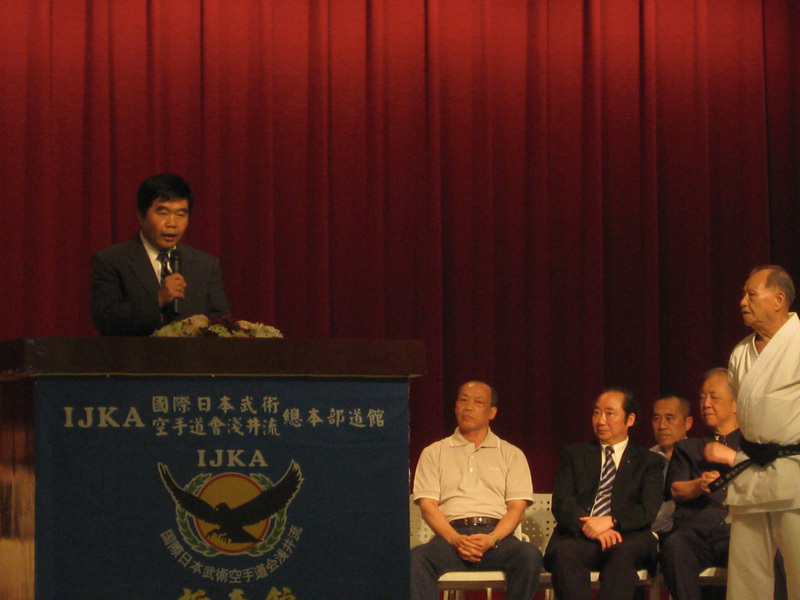 He was appointed as the honorary chairman when IJKA was set up in Shanghai in 2004, and in 2005 he built an impressive dojo larger than 330 m2 and an office for IJKA in the city, as a gift to Master Asai. 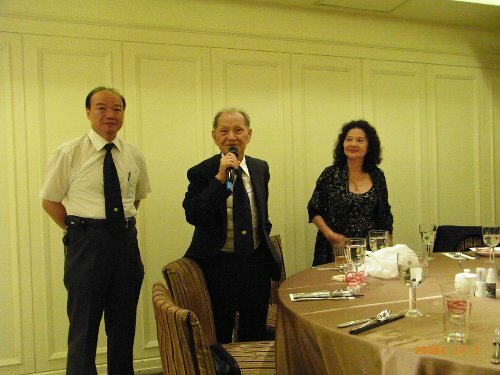 At the global meeting held in Taiwan Taipei on October 1st this year he accepted the position of the Honorary Advisor of IJKA in memory of our Soshi, Master Asai. 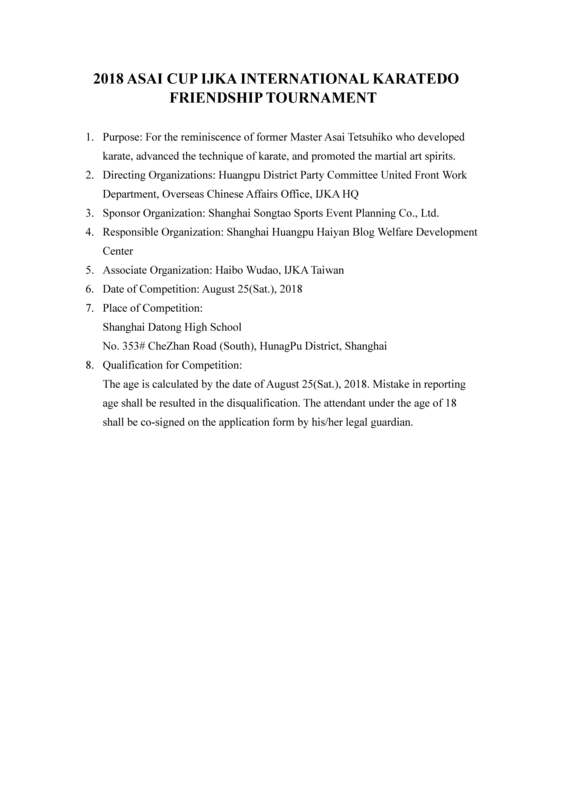 Below is the record of the events in Shanghai. 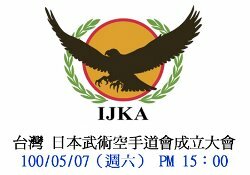 November 20th, 2005 International Japan martial arts Karatedo-kai (IJKA) Shanghai Headquarters Office and Dojo Open 窶� Sponsored by Mr.Tsai Eng-meng of Want Want China. Firecrackers opened the celebration. 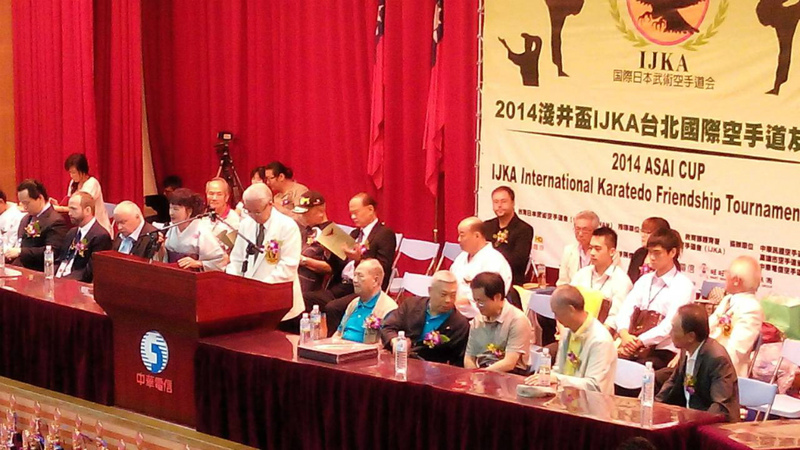 Many renowned martial artists joined the ceremony and participated in the Enbu. 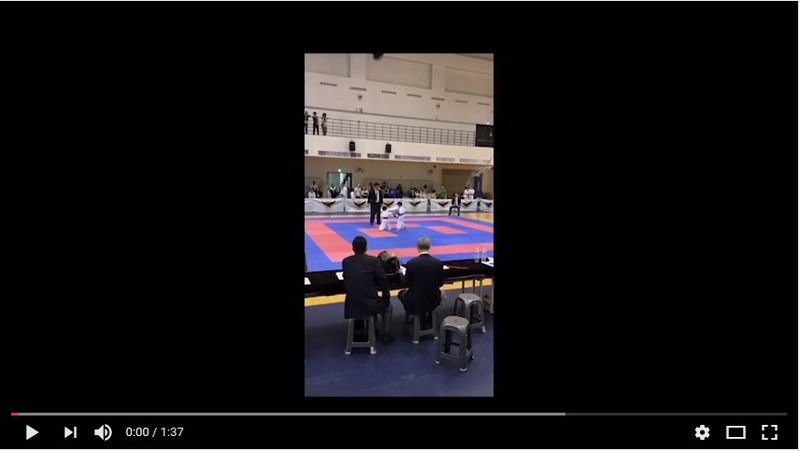 The audience was awestruck by the karate performance as they watched the world窶冱 top level techniques. 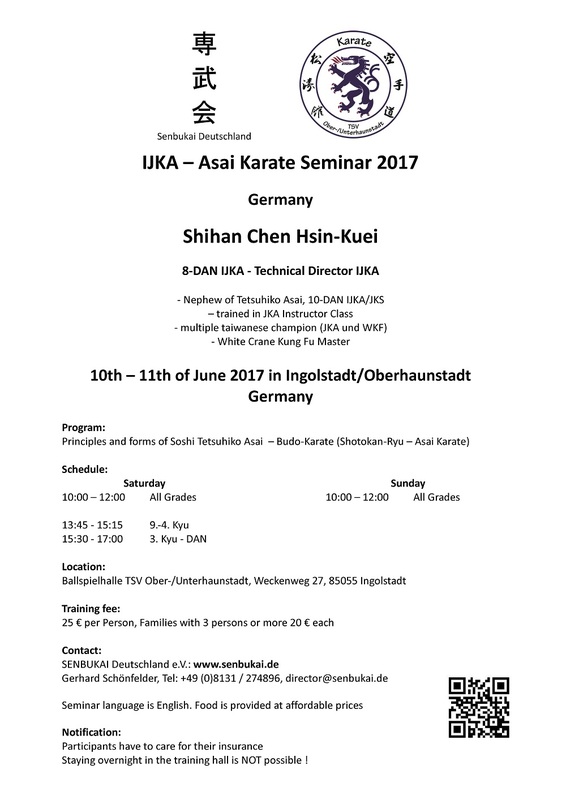 A few hundred people applied to join the technical seminar taught by Asai Shuseki Shihan but only those with more than three years karate experience were able to join. 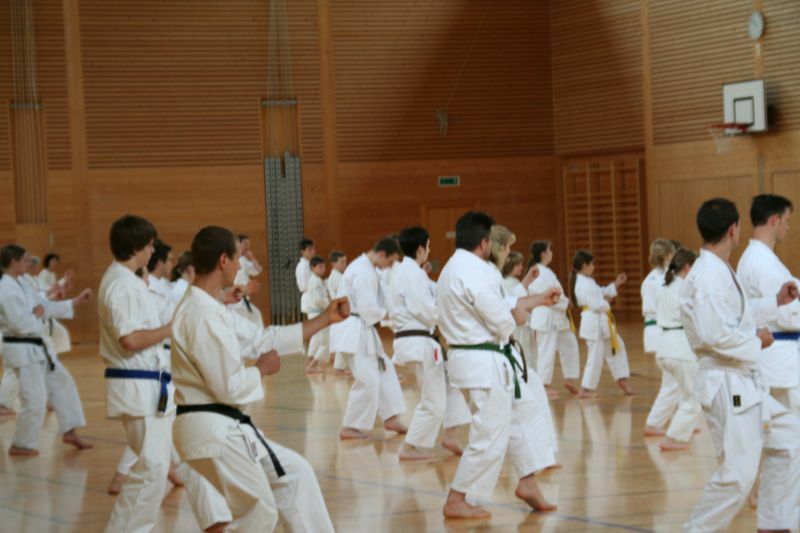 About one hundred people received Master Asai窶冱 passionate two-day training. As dan certificates were being issued rampantly from those without such qualification in China, about 50 karate practitioners gathered to be examined properly by Master Asai to obtain legitimate dan certification. Chen Hunt-sung Sensei who has 43 years of karate experience also the general instructor of the Shanghai headquarters, and Toshiyuki Kidokoro who has 25 years of karate experience, joined Master Asai from Taiwan to carry out the two day stringent dan examination. 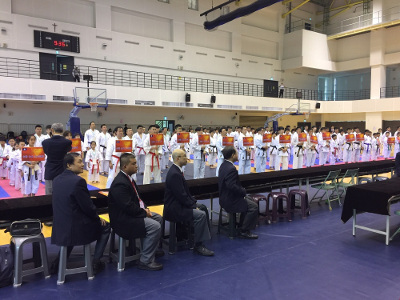 The students were especially excited as this was the very first official karate dan examination to take place in China, and also because of the lineup of the examiners. 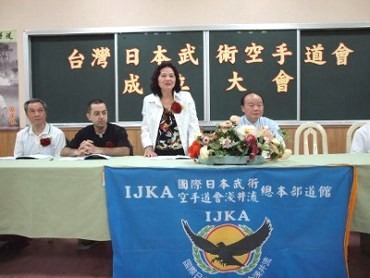 International Japan martial arts Karatedo-kai (IJKA) opened its Shanghai headquarters on July 5th, 2004. 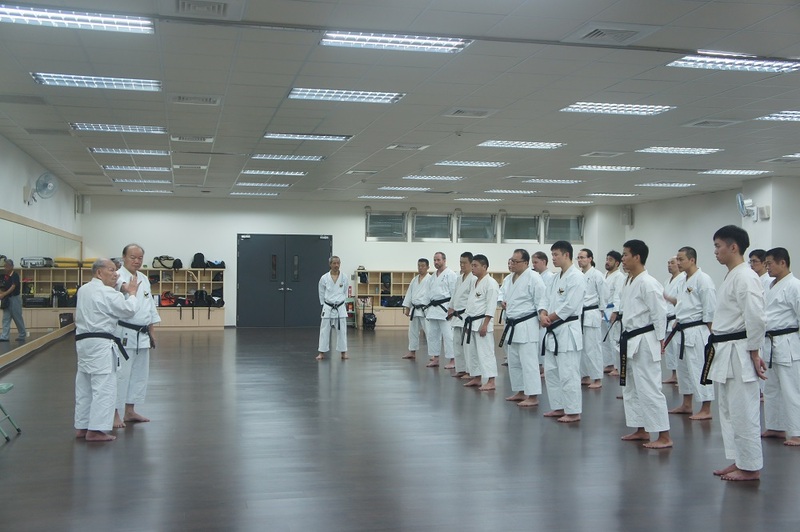 Asai Shihan saw the students of Shanghai University ardently practicing Karatedo in their self-taught styles, which led him to suddenly host a karate seminar at Fudan University in the evening of July 1st. 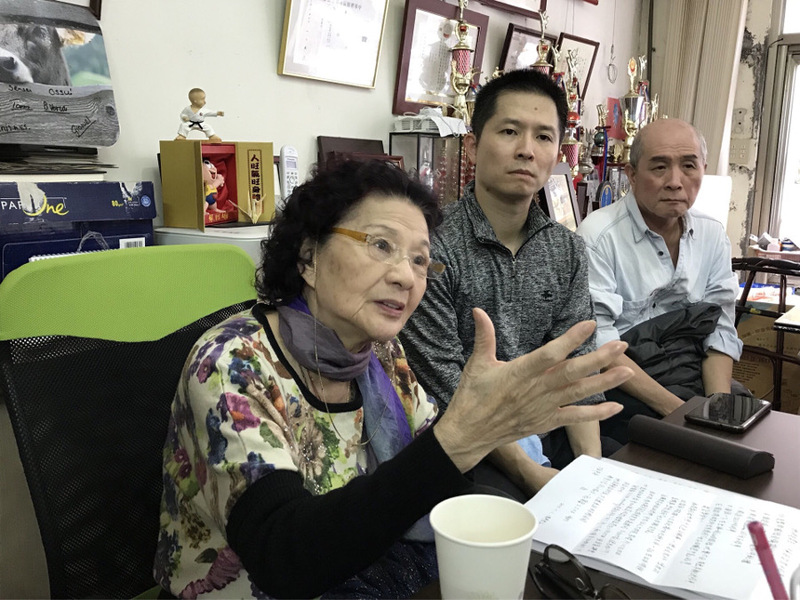 Word of the event quickly spread and the chairman of the Karatedo Association of Shanghai University and their members, and other avid karate practitioners, gathered to get a glimpse of the eminent karate master. 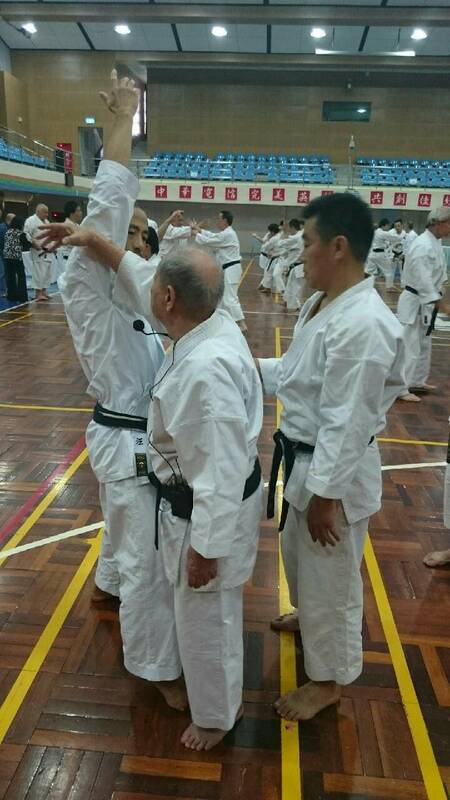 At the start of the seminar, Asai Shihan changed into his dogi and surprised the participants, who came in thinking they窶囘 be lucky if they could hear a story or two from him. 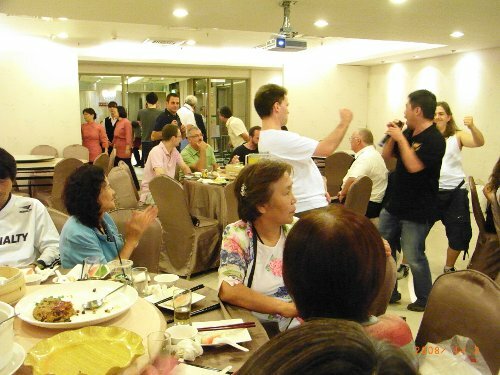 The amazed participants quickly changed into their own dogi, and those who did not bring theirs scrambled to find one. 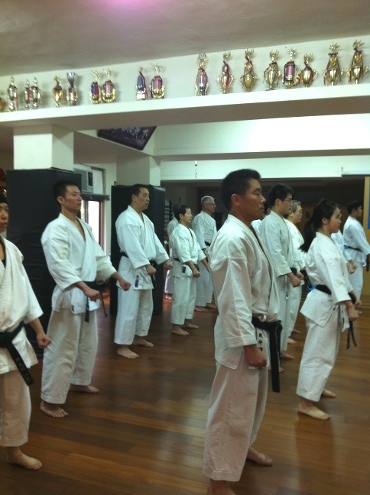 Many joined the practice in the dojo with their regular clothes. 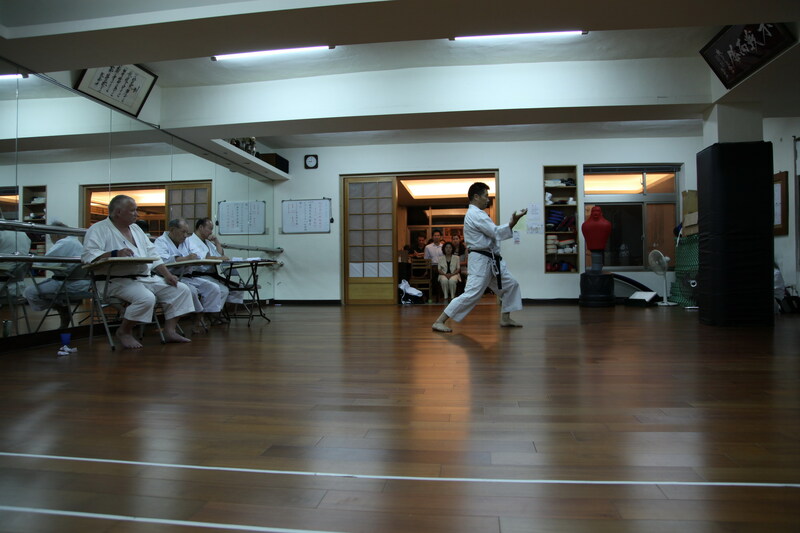 The air was suffocatingly hot in the dojo, but Asai Shihan taught for two full hours to the participants, who all learned passionately and practiced hard the new basic and new kata of karate. 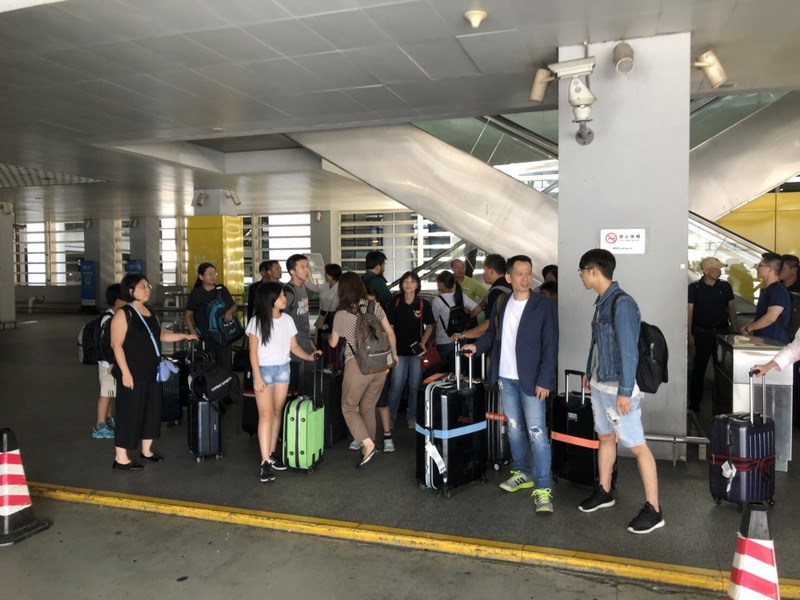 All the participants came to the airport on July 5rd to see off the master, and enjoyed the last moments together. 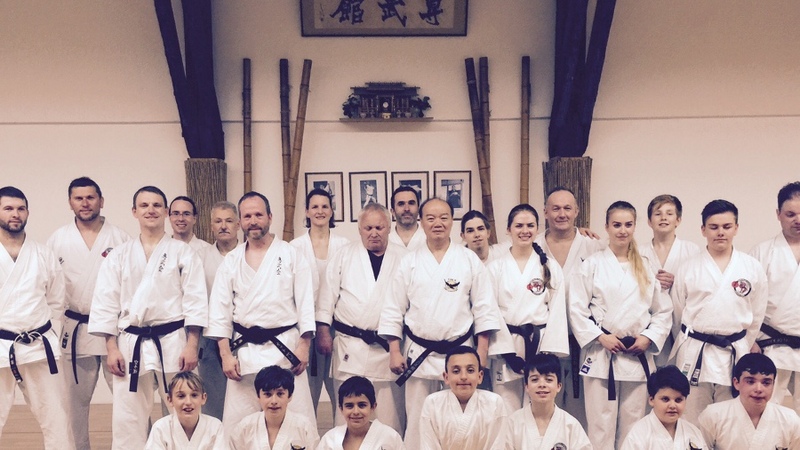 Everyone was happy that they learned more than they could hope for from Asai Shihan, and said the teachings helped them greatly. 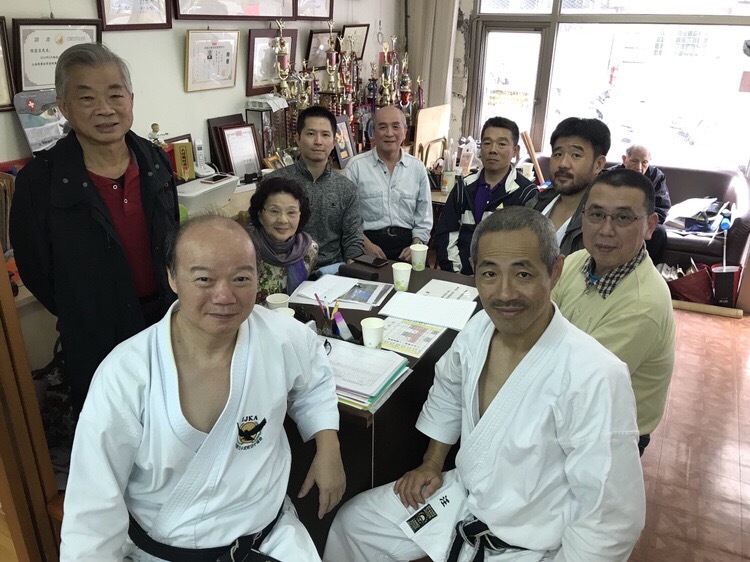 Group photo of Asai Shihan, members of International Japan martial arts Karatedo-kai (IJKA) and its Shanghai headquarters, the chairmen of 髢｢髮ｲ鬚ｨand 髢｢菫雁ｹｴ, the chairmen from karatedokai of Fudan University, Shanghai University, Tongji University and other universities, members and the dojo head of Shanghai, instructors and students. 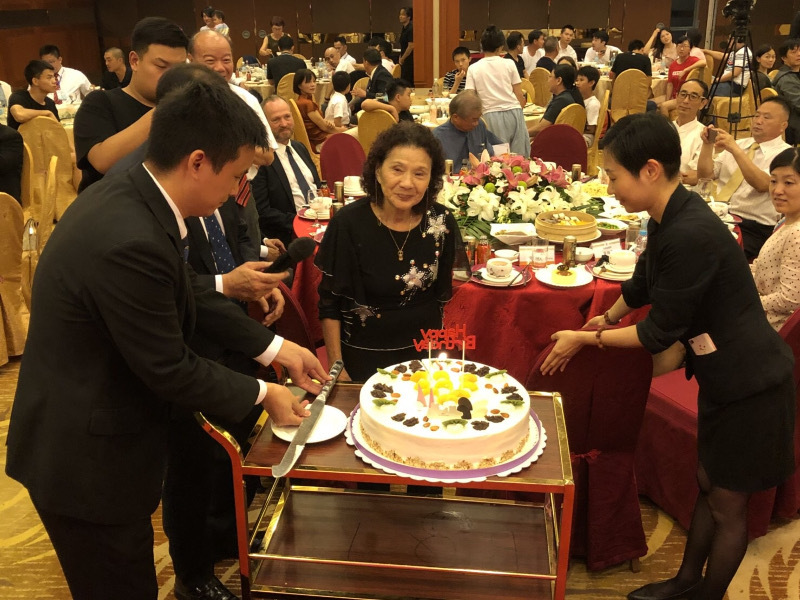 Since Tsai-san started learning karate under the late Master Asai in around 1970, for almost 50 years he provided support and assistance for Master Asai in private and public matters. 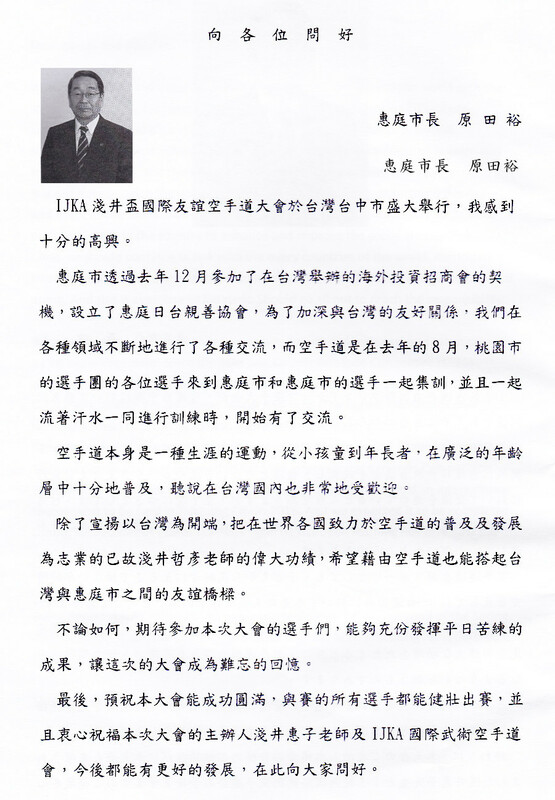 Even after the master窶冱 passing he continues to give unwavering support for IJKA and Mr. Chen Hunt-tsung. 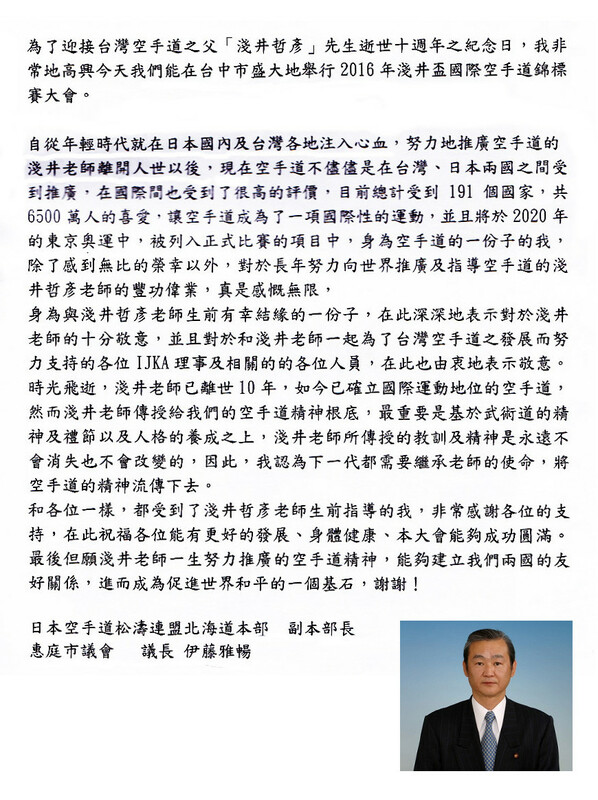 We thank Tsai Eng-meng Sensei from the bottom of our heart for his unswerving love. 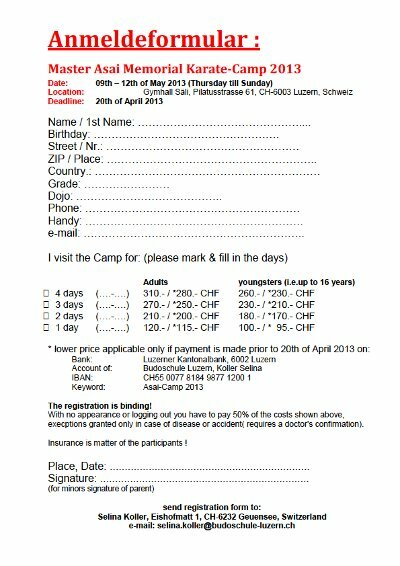 Today, I ask for your generous donation to Mr. Bruno Koller. 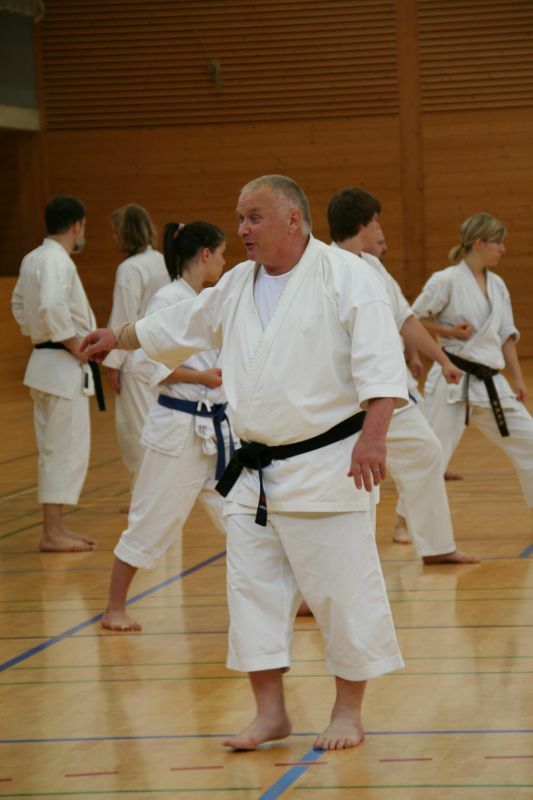 Mr. Koller has been an avid practitioner of Japanese martial arts, and making a tremendous contribution to the development of Japanese martial arts in Europe. My heart aches to see his body being seized by illness. So please, I ask you to pray for him and his family, and for their time together. 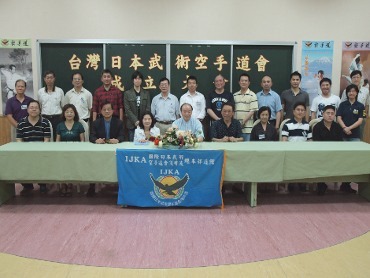 We held an IJKA training seminar on April 29th and 30th in Shanghai, China. 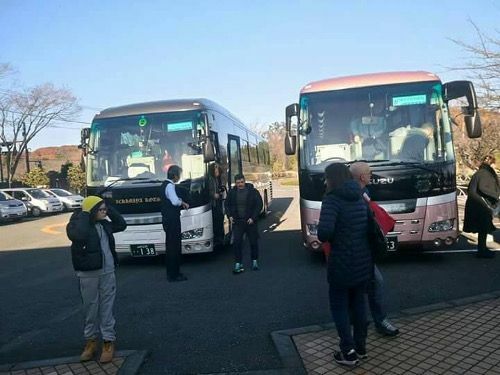 The participants gathered from all over China, including those who travelled over 3,000km. 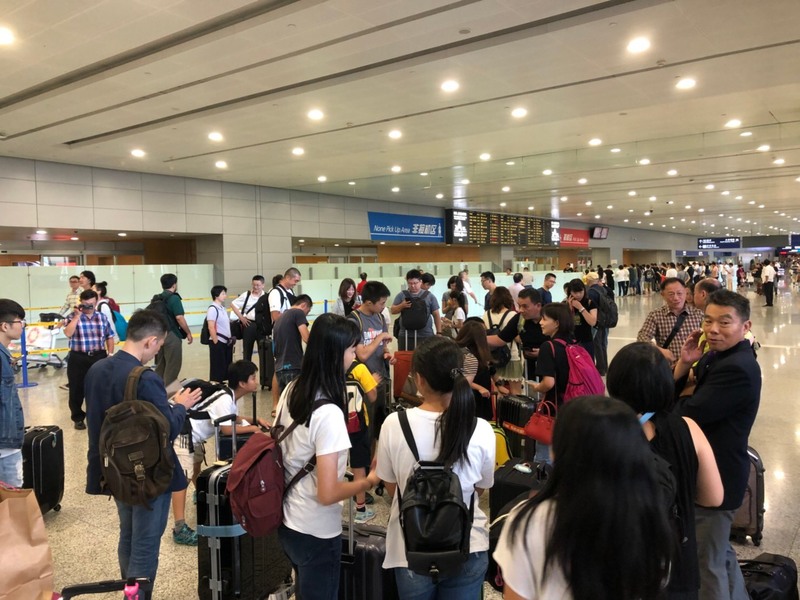 Others include those who came from Guizhou (2,300km), Qinghai (2,400km), Taicang/Suzhou (70km), Fujian (800km), Hebei (1,400km), Xi窶兮n (1,300km), Nanjing (300km), and Changzhou (150km), representing their respective regions. Their eyes glowed with passion. From start to end, every single move they made was an explosion of their full power and enthusiasm. After the seminar, I was asked to give a comment as the president of the organization. I will write here what I said. 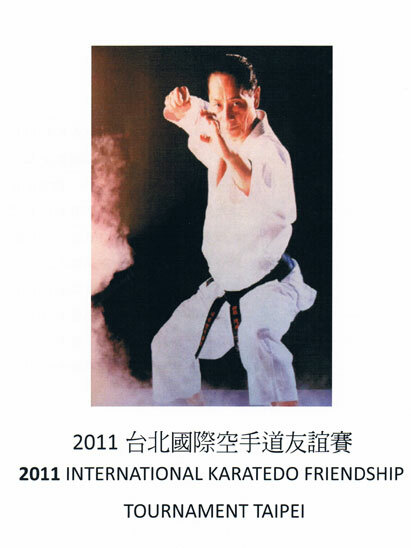 窶弩hen Master Asai passed away in 2006, teachers in Taiwan succeeded after him and they have been teaching Asai karate since. 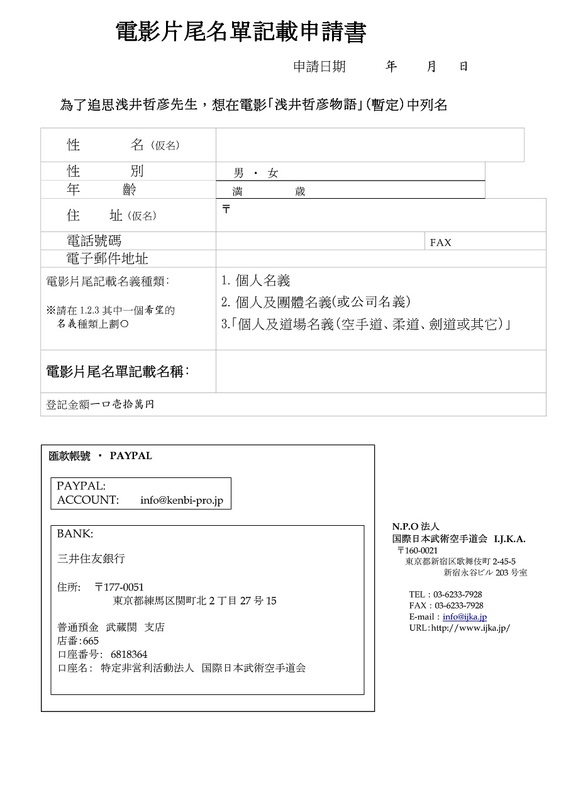 We left JKS in 2011, but we didn窶冲 ask you to do the same. 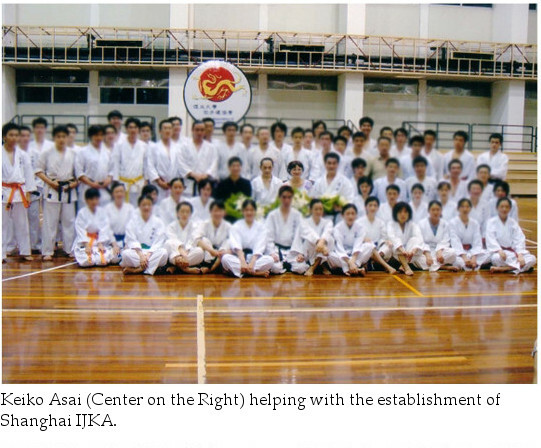 This is because JKS and IJKA were both established by the same Master Asai, and karate practitioners should be able to choose what organization they want to be a part of. I just wanted to tell you this today. 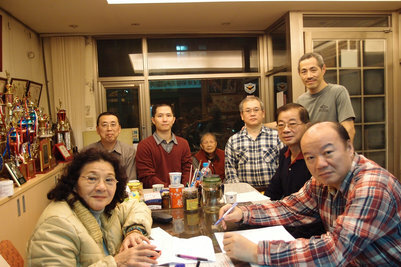 Instructors and assistants who used to be direct pupils of Master Asai now spread over mainland China. 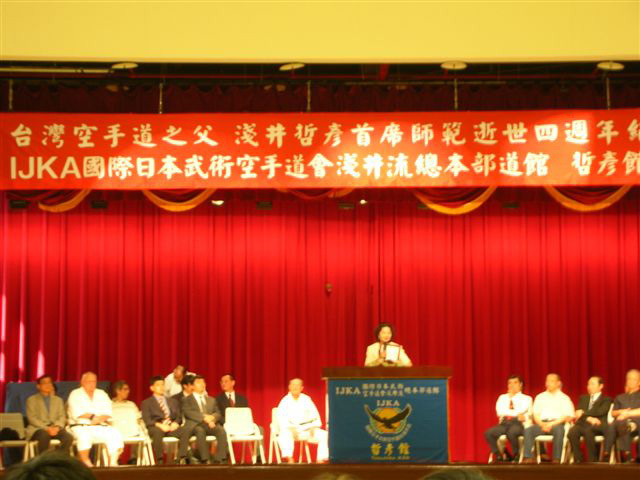 縲�縲�Front row on the right: Head of Global Section Mr. Lin. Front row center: Keiko Asai. 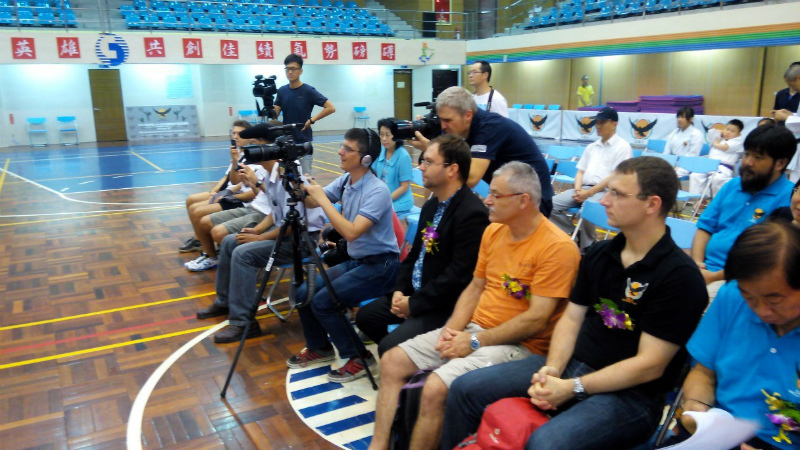 Front row on the left: Head of Technical Office Mr. Chen. All participants from the event. 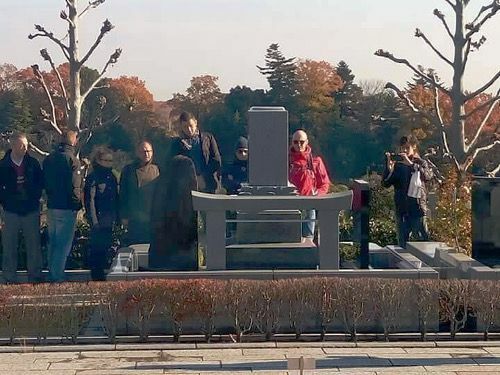 The thirteen panels on display showed the footsteps of Keiko Asai. 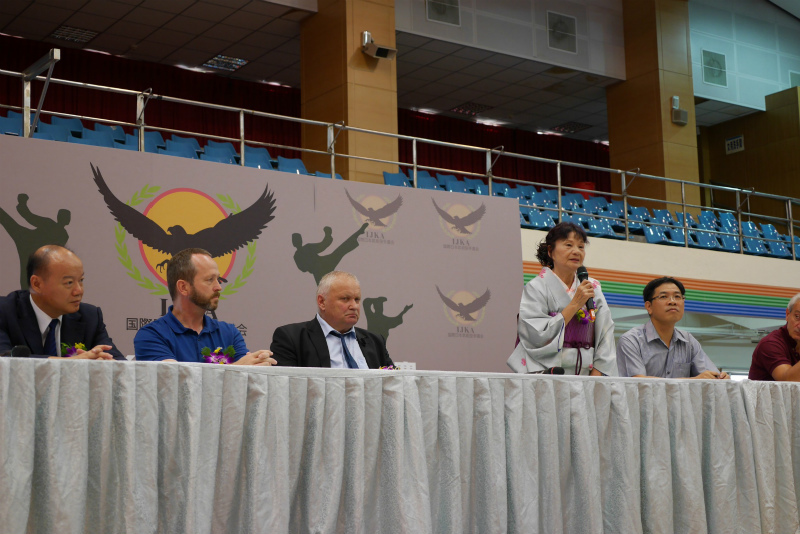 Her life so far has been a center of curiosity among karate practitioners in China, and a roundtable talk was set up. The head of Technical Office, Mr. Chen Hsin-koei, Keiko Asai answering questions without rehearsals, and the head of Global Section, Mr. Lin. 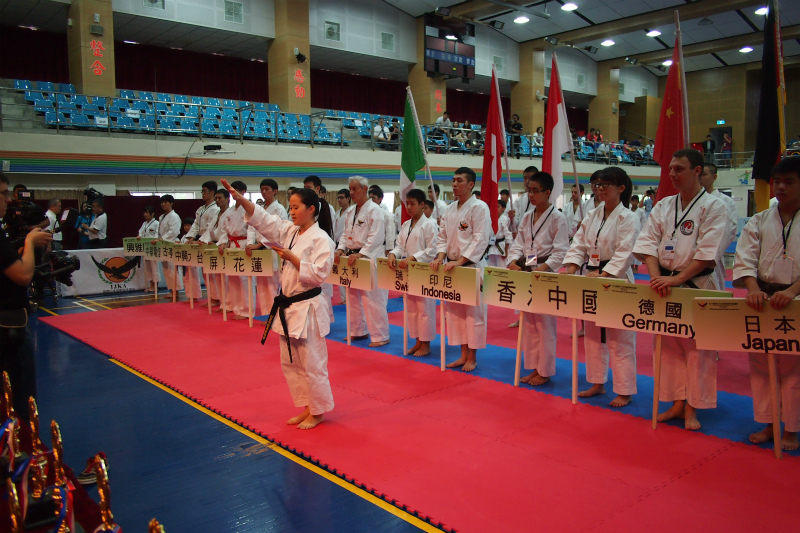 Jiangsu Branch, Shaanxi Branch, Guizhou Branch, Hebei Branch, Shanghai Branch, China Honbu, Jiangxi Branch, Fujian Branch, Qinghai Branch, Zhejiang Branch, Shanghai Commerce and Industry Foreign Language School Karatedo Association, Shanghai University of Political Science and Law Karatedo Association, China Postgraduate College Karatedo Association (荳ｭ蜊夐�ｲ菫ｮ蟄ｦ髯｢遨ｺ謇矩％蜊比ｼ�) and five other college associations reside at Shanghai University. There seems to be more if we count those who could not make it to the event. 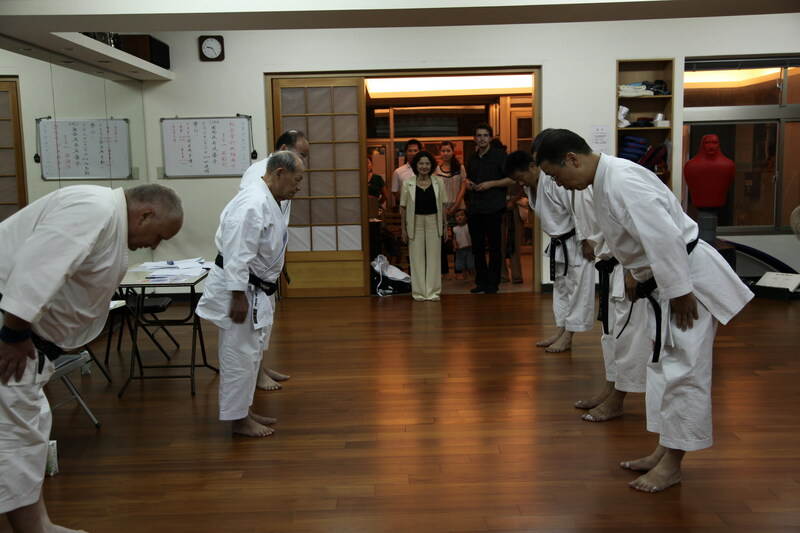 participants learning the Kihon Waza, the basic techniques. Participants learned avidly the new kata created by Master Asai, called 窶廱oko(蟶ｸ陦�).窶� They were very excited to learn something completely new, saying that they窶况e been to Japan on numerous occasions for karate training but nobody knows that kata. They all seemed to find the movement graceful and impressive, as they said they would practice from Joko Issei to Gosei from now on. 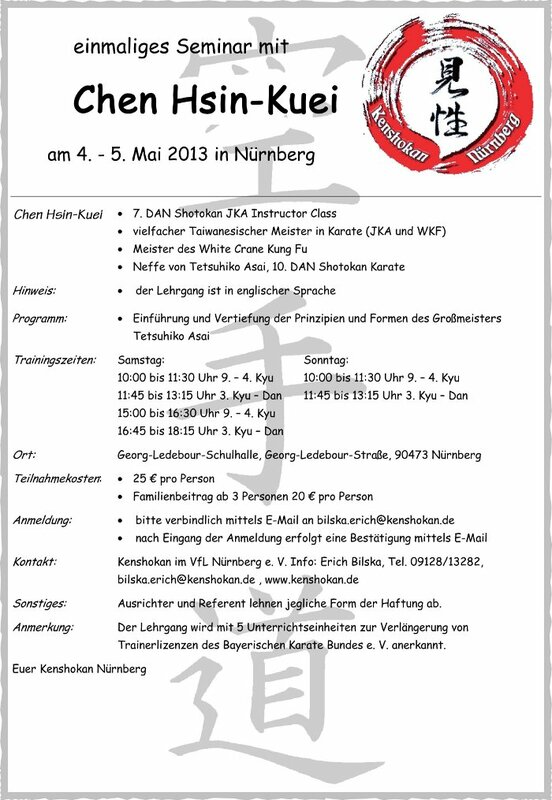 縲� During the long weekend in May, we had a series of activities including an IJKA technical seminar and Dan examination over 3 days. 1. 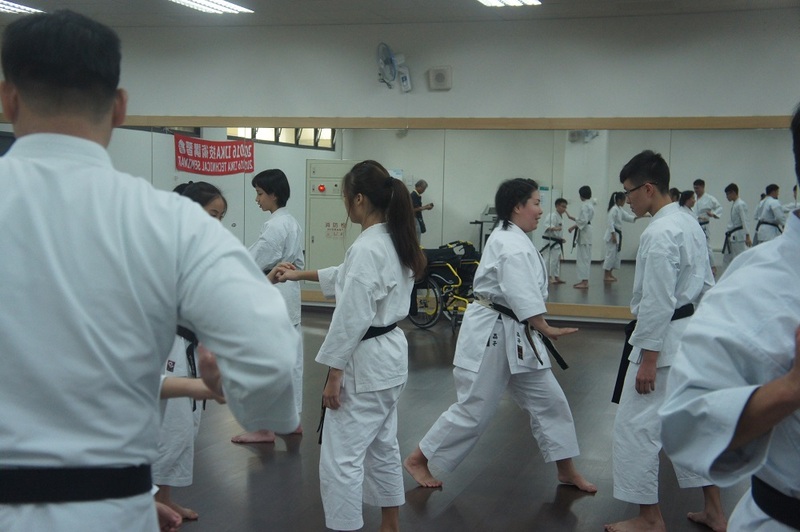 As one of the pioneers in spreading the Shoto-physical education and the traditional karatedo in China, our organization has seen many twists and turns during the course of its development, which are filled with colorful stories. This time, we put more effort into making the seminar and related trainings more meaningful. 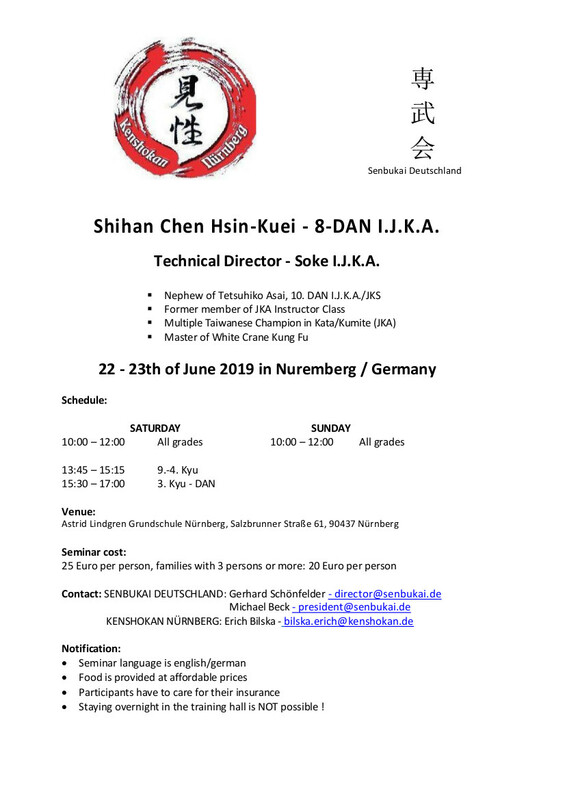 We invited the IJKA Head of Technical Office, Mr. Chen Hsin-koei as the main instructor at the technical seminar and for the dan examination. 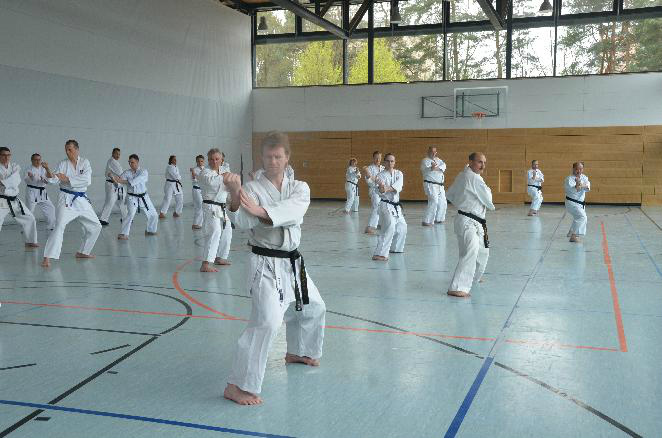 What we learned was a very characteristic Shotokan-ryu karate (*1) developed by Tetsuhiko Asai Shihan. 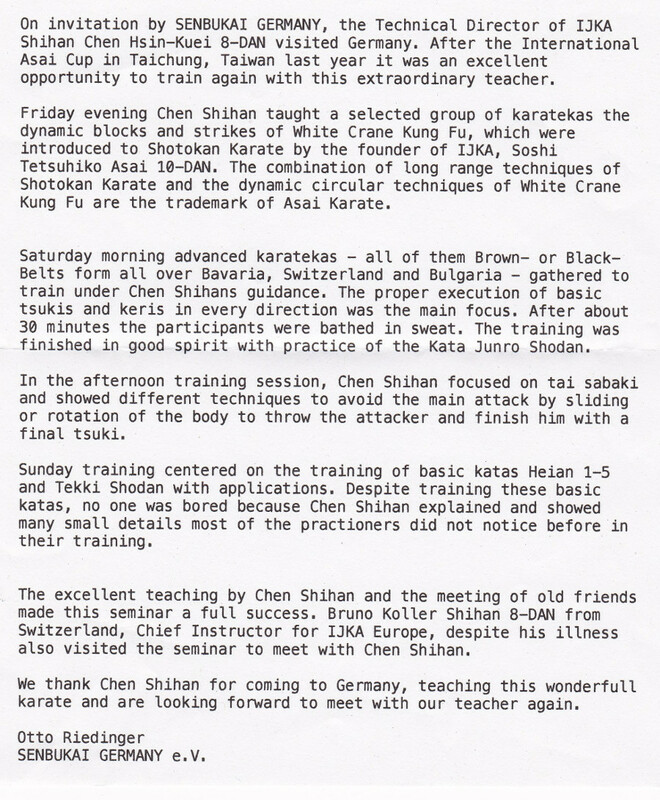 Chen Hsin-koei Shihan learned directly under Tetsuhiko Asai Shihan, and is learning from Chen Hung-tsung Shihan (9 dan). 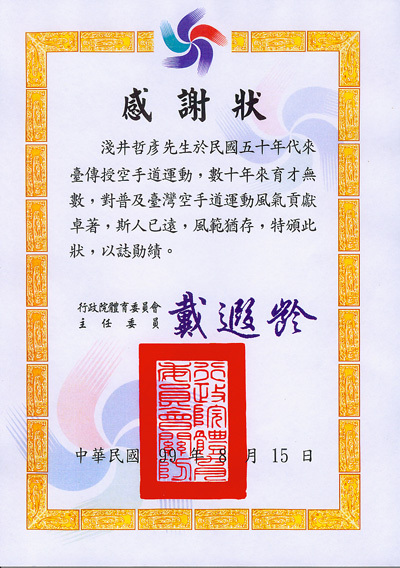 In 2004, 窶彜hoto PE窶� officially joined Asai-ryu karatedo. 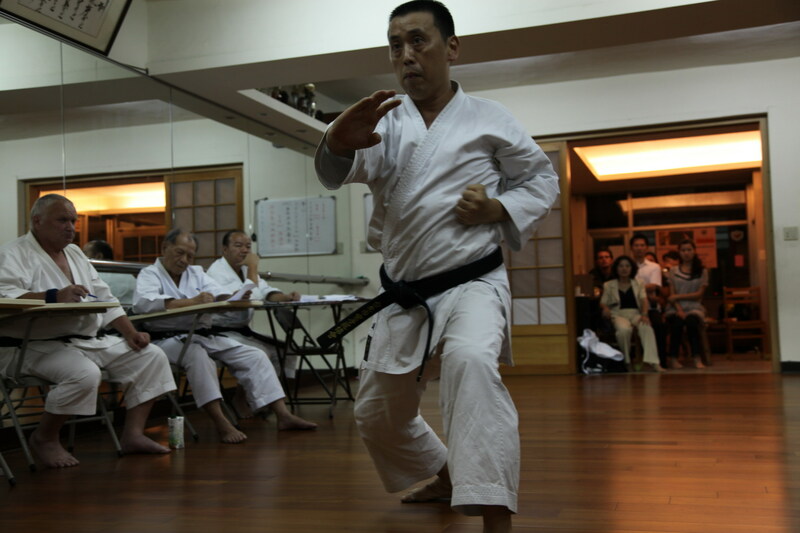 IJKA immediately responded by setting up the instructors with Chen Shihan as the main instructor, and started teaching us the karate techniques. 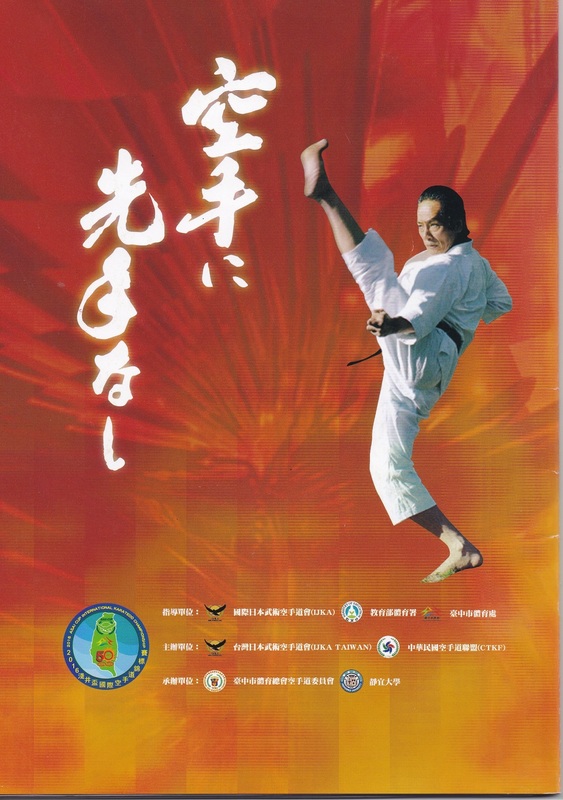 Chen Shihan has spent seven to eight years developing a series of karatedo exercise. He has gone through different ups and downs, but, here we are. We all share the same gratitude towards our Master. 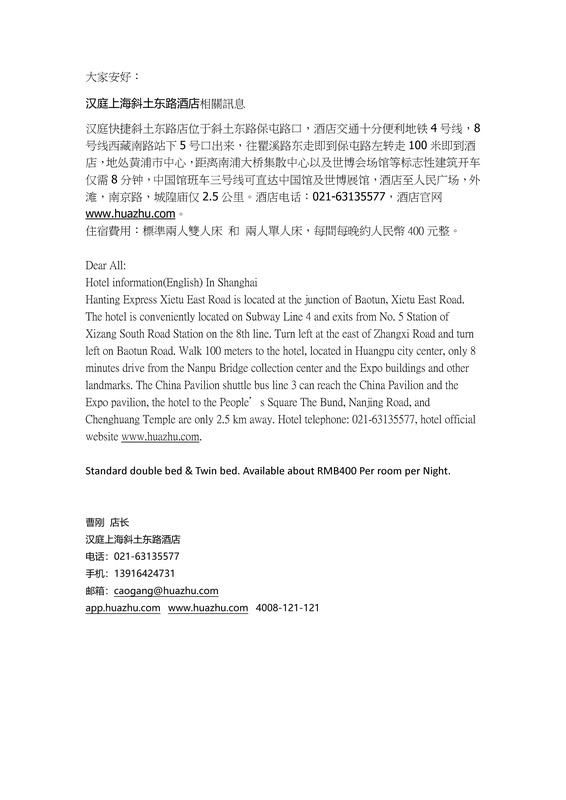 We received this letter from Shanghai. We announced that Soke International Japan martial arts Karatedo KAI(IJKA) welcomes anyone who shared the true passion for karate with us regardless of whether being part of a karate organization or not. 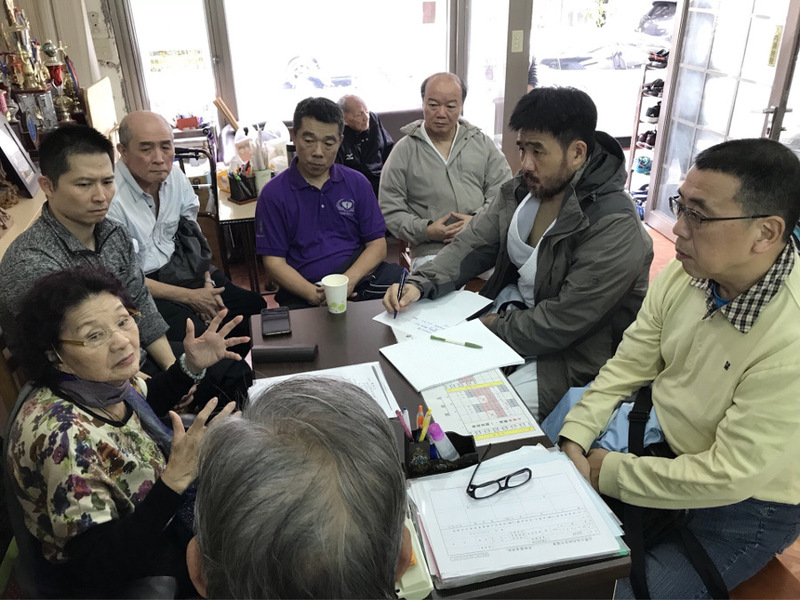 Ms. Akiko Onishi came to us right away, and successfully obtained the first individual membership of SOKE IJKA from Japan. 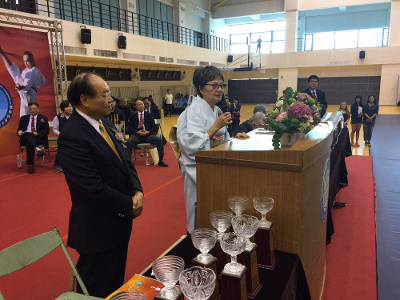 She attended the 2016 Asai Cup International Karatedo Championship, at which she, so joyful and active, was warmly welcomed by everyone. 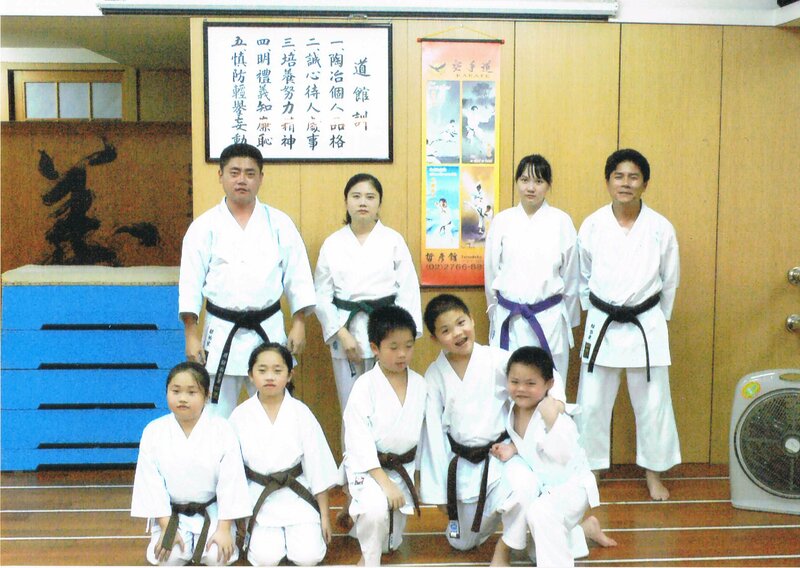 Received karate training from JKS from the age of 6 to 20. Received 2 dan at the age of 17. After 22 years of hiatus, she took up the practice again in 2015, training under her older sister. My older sister and I started karate together and she still is an active karate practitioner. 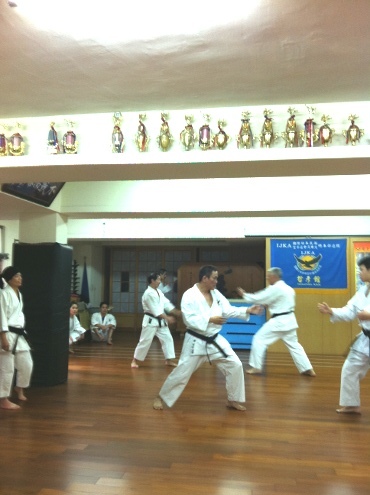 She used to attend all Master Asai窶冱 seminars; never missing one. 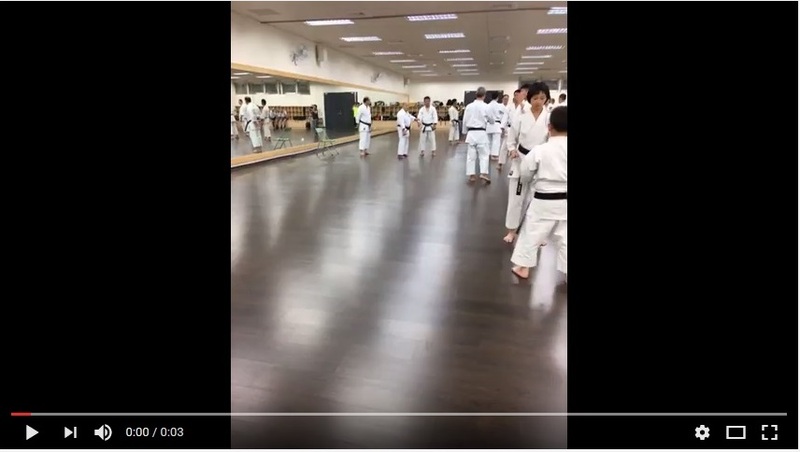 Watching her classic katas, I began to develop the itch to start practicing again. She looked so impressive and I wanted to be able to do the same. 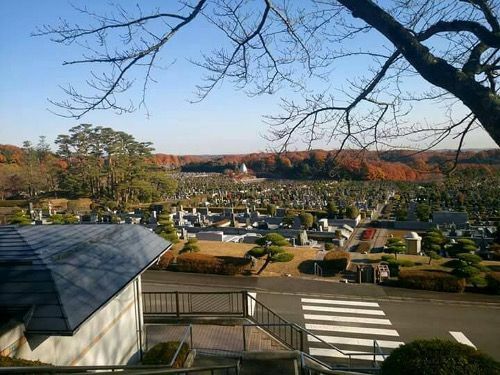 I became curious about IJKA, established by Master Asai, as an organization that inherited the spirits of his teachings, and so I began researching. The image of Master Asai portrayed on the IJKA website was exactly the same as how imagined him to be from hearing my sister窶冱 stories. 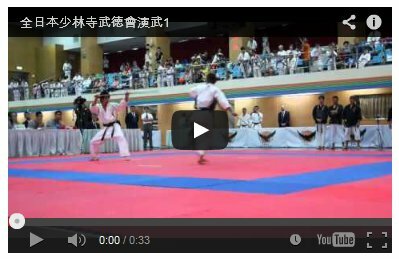 As I read the website, I realized the reasons I quit karate, the aspects of it I didn窶冲 like, and it didn窶冲 have to be the way it was. I am not interested in winning the tournaments or obtaining a high-ranking dan, or becoming a prestigious judge. I just want to be able to perform the kata and pursue the karate waza deeper. 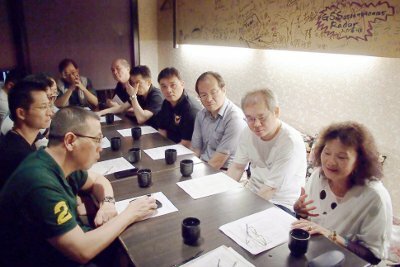 I gathered up my courage and contacted IJKA. I talked to Asai Keiko Sensei and my thoughts were confirmed. 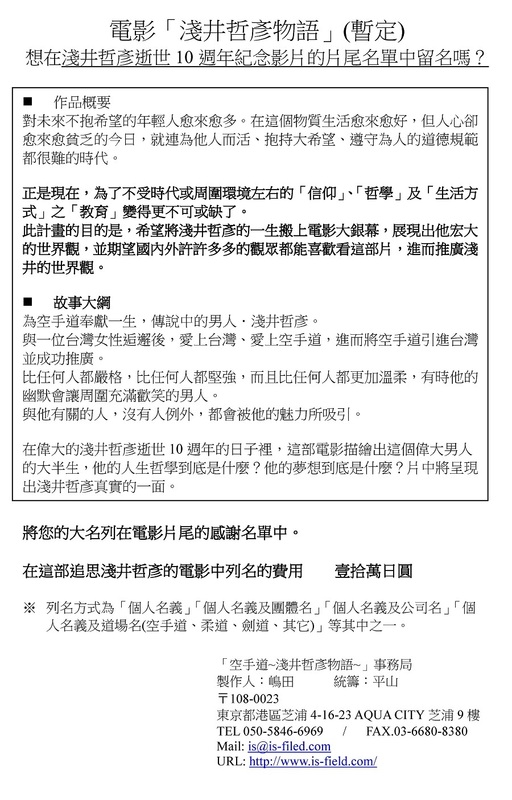 That窶冱 how I decided to apply for a membership. Everyone was so welcoming and kind to me even though it was first time for me to meet them. I was moved by the fact that there was no one making displays of strength or being overbearing about their accomplishments. 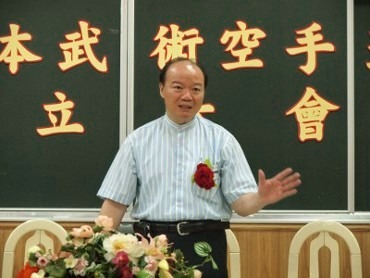 At Chen sensei窶冱 seminar, I was overwhelmed by feelings of astonishment and awe. 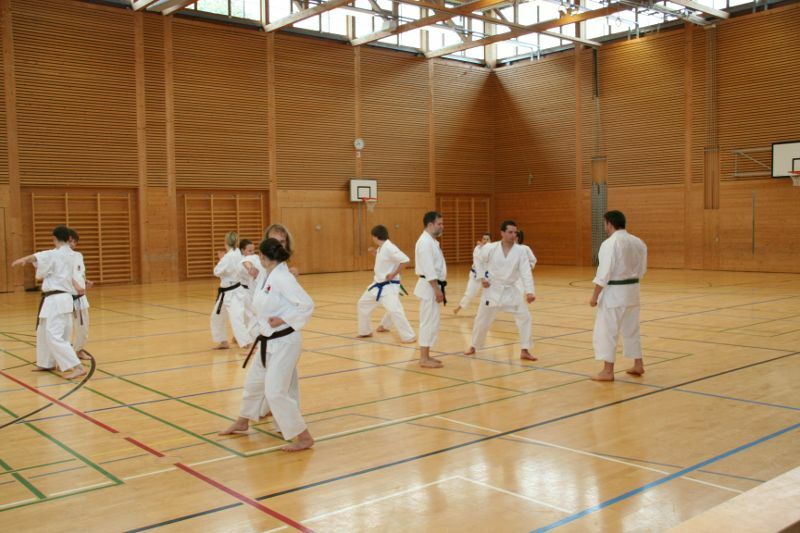 I was convinced that I could get a real karate training from these people. As soon as I returned to Japan, I told my sister and asked her to join me. 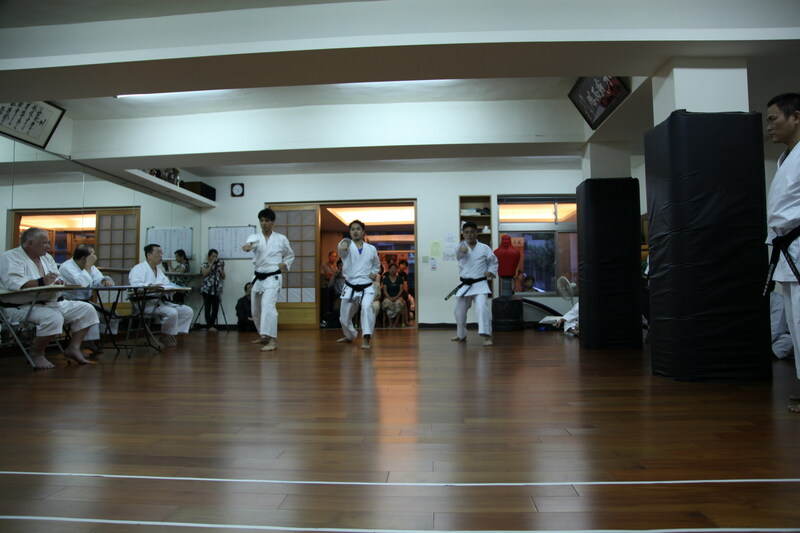 She also became interested in learning from Chen sensei. 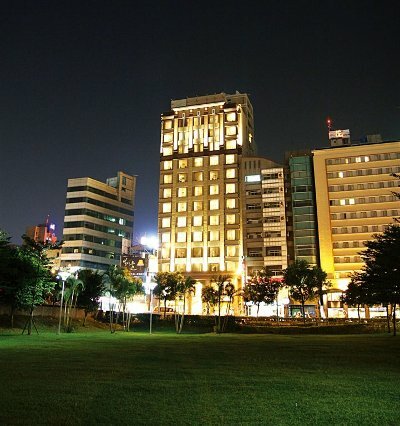 I am hoping to go visit [Taiwan] next year for some good training, from morning until evening, for a few days. 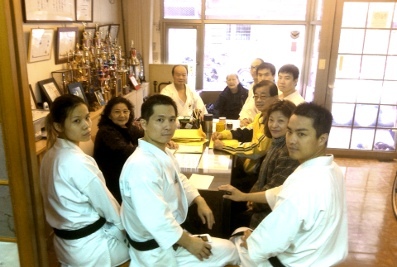 Ms. Onishi (the third from the right) training hard at Chief Instructor Mr. Chen Hontsung窶冱 technical seminar. 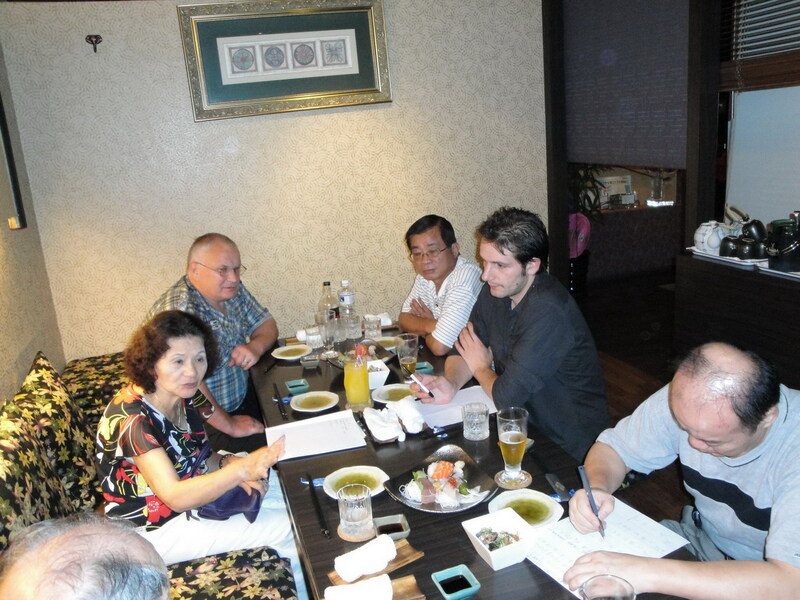 Ms. Onishi, Mr. Gerhard Schoenferder from Germany. 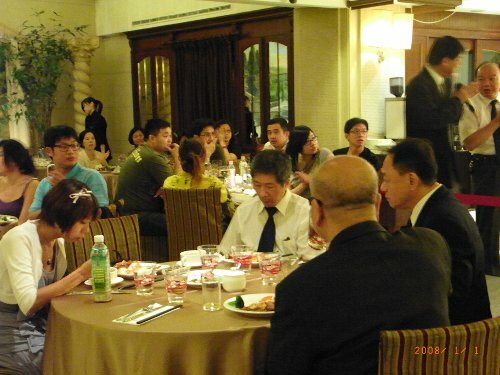 At the welcome dinner with IJKA executive members. 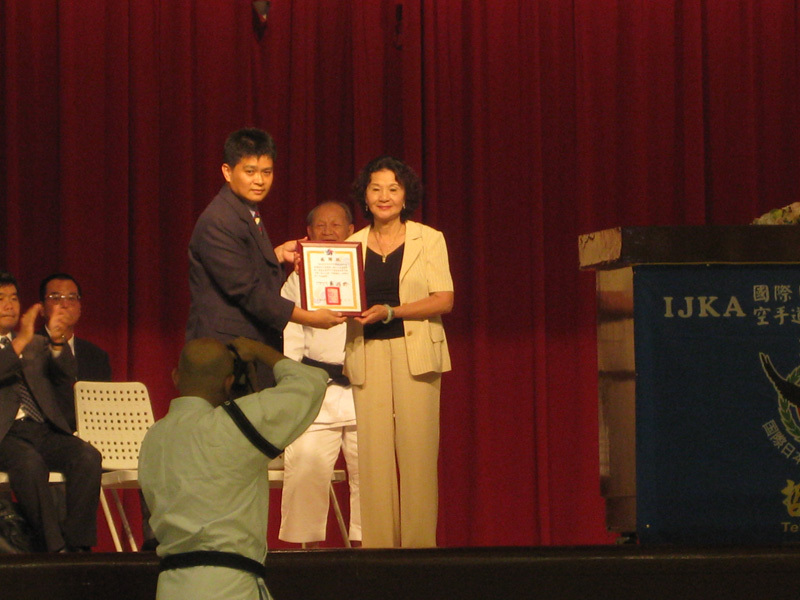 Mr. Onishi posing with IJKA president Mrs. Keiko Asai. 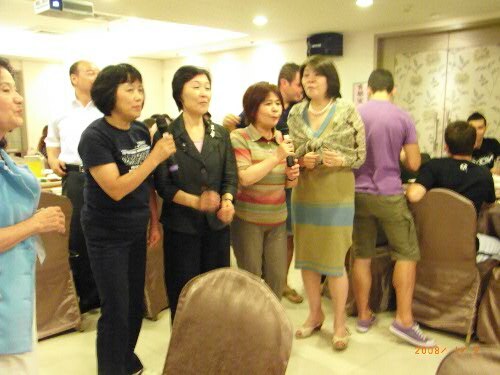 After the tournament, everyone had fun at the 窶廣thletes Night party. 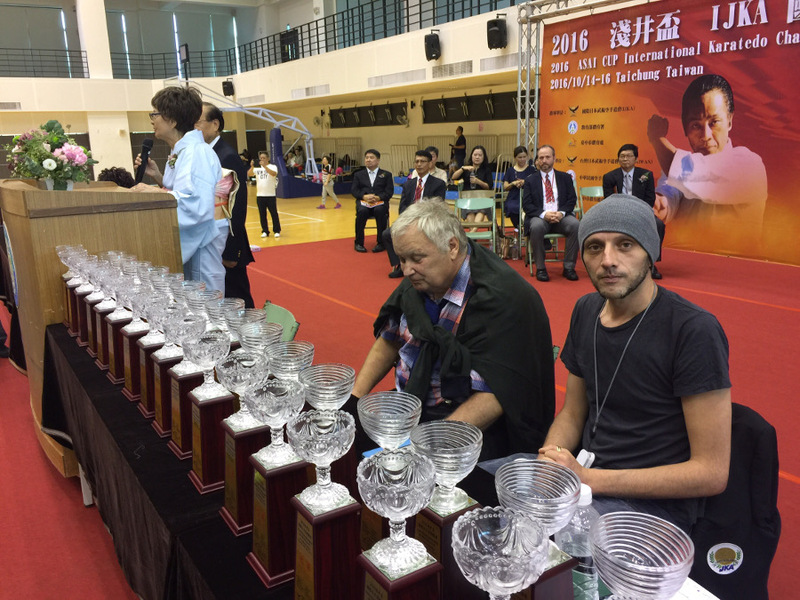 2016 Asai Cup International Karatedo Championship ended successfully on October 15th. 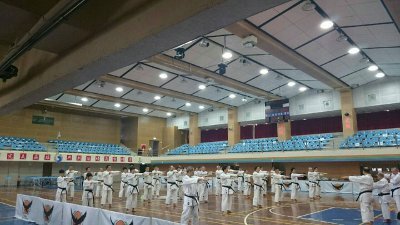 The international karate technical seminar was held the next day on the 16th with Master Chief Instructor Mr. Chen Hontsung, followed by a dan exam. 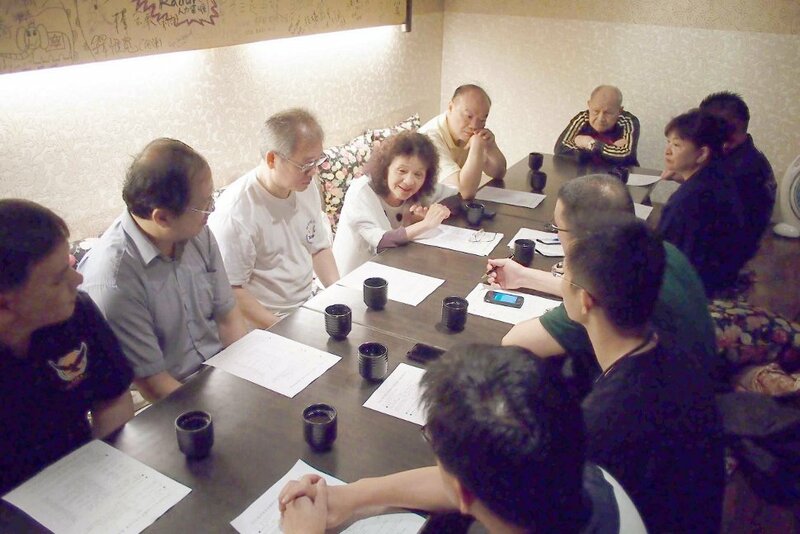 Members, all admirers of Master Asai, came from all over Taiwan and abroad to get together at the event. 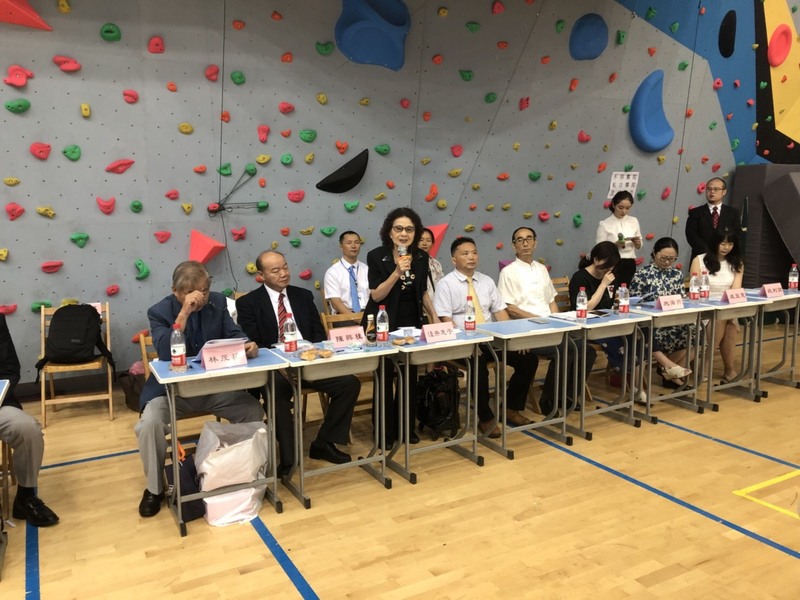 The event had Master Asai窶冱 favourite direct pupils, and their 2nd and 3rd generation pupils, all mingling and showing their best performances. 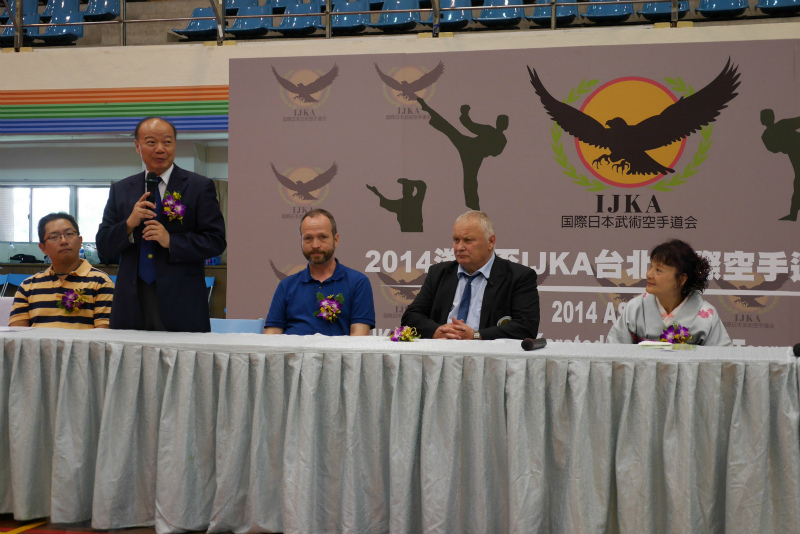 Behind the distinguished guests is the large, impressive poster of Master Asai. 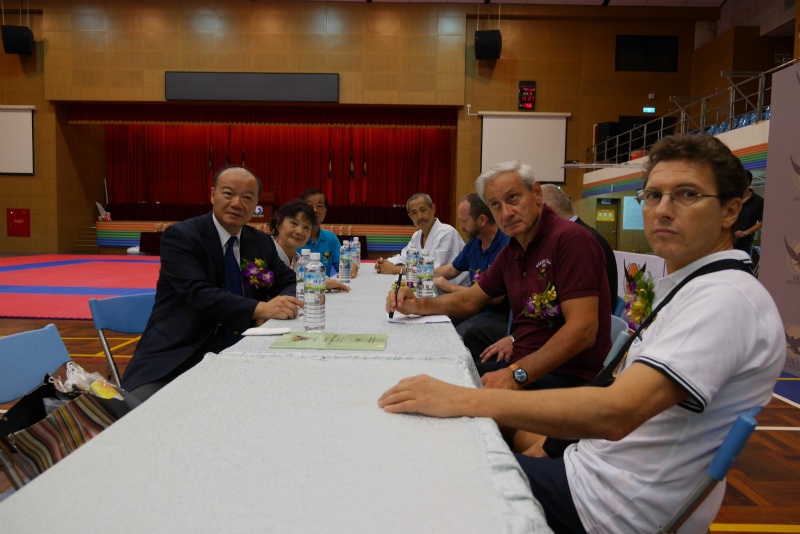 On the reft is Mr. Bruno Koller from Switzerland, with his nurse Theo to his left. 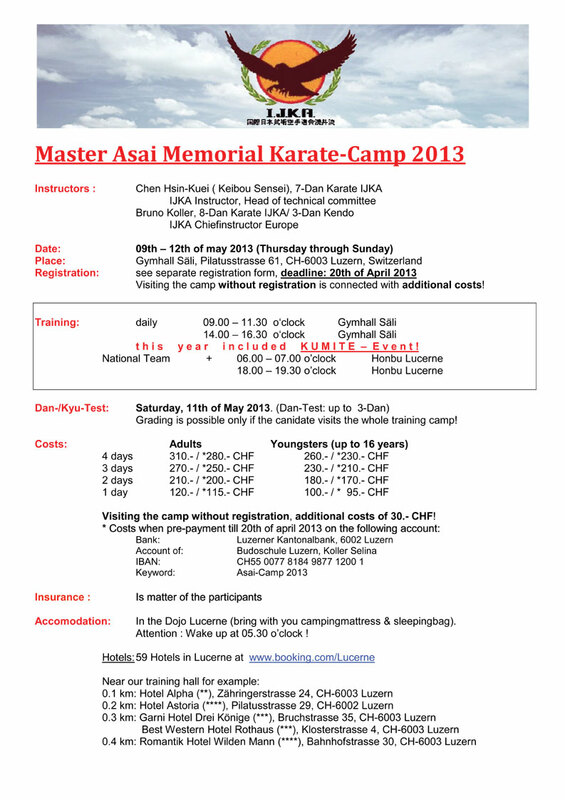 Recently, we are getting many inquires about Asai Karate. 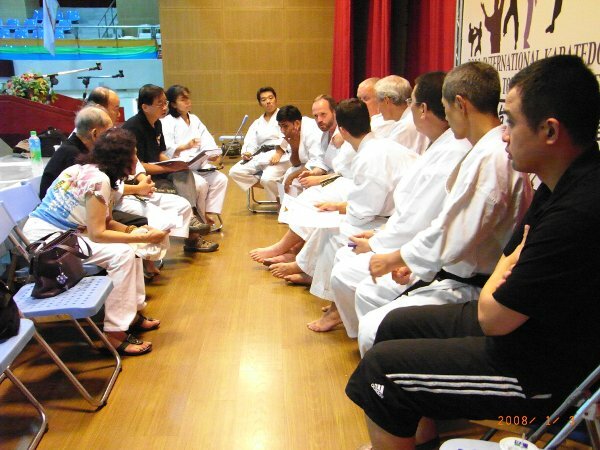 According to these emails, there are many karate lovers in Japan, who quit karate at some point in their lives because of some personal reasons (such as work, studies, marriage, health issues, etc.) but have come back to it. 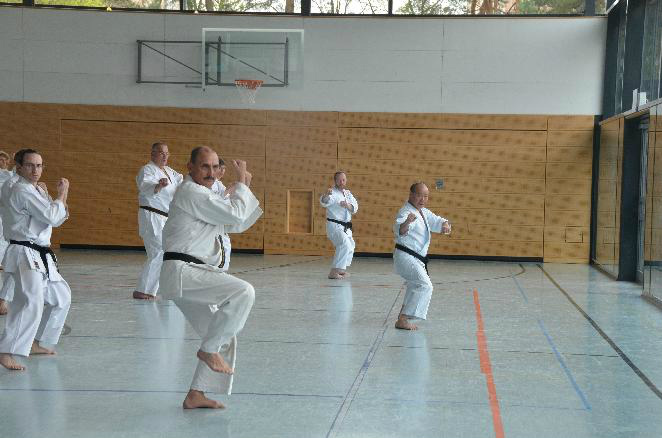 Furthermore, these people do not intend to join any karate organizations; they simply want to keep practicing, including the katas created by Master Tetsuhiko Asai, and acquire the skills. 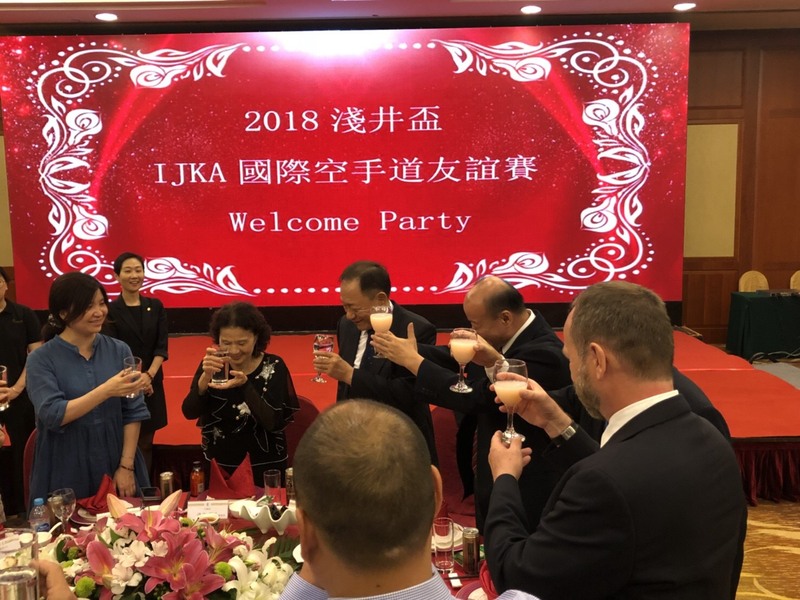 For that reason, IJKA has decided to accept those individuals who don窶冲 belong to any kind of organizations, and allow them to join us in training. 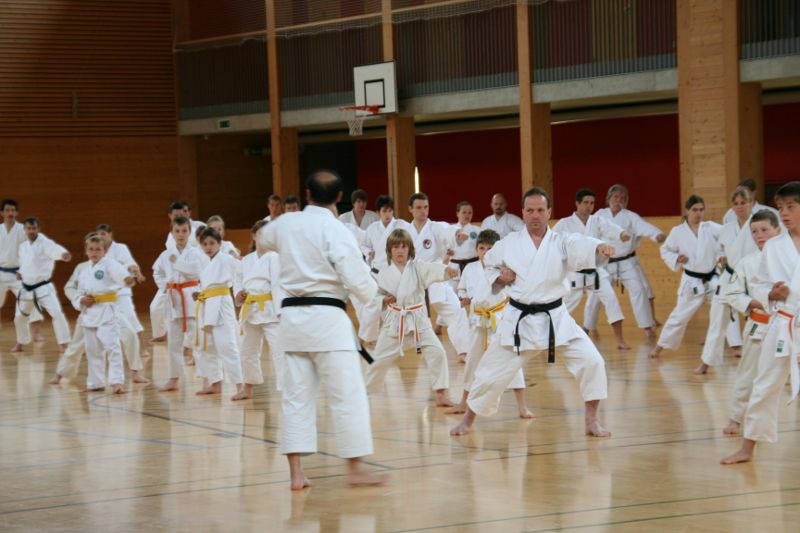 Master Asai was not concerned about what schools or ryu of karate people practiced, so the admission to IJKA is decided regardless of their schools. 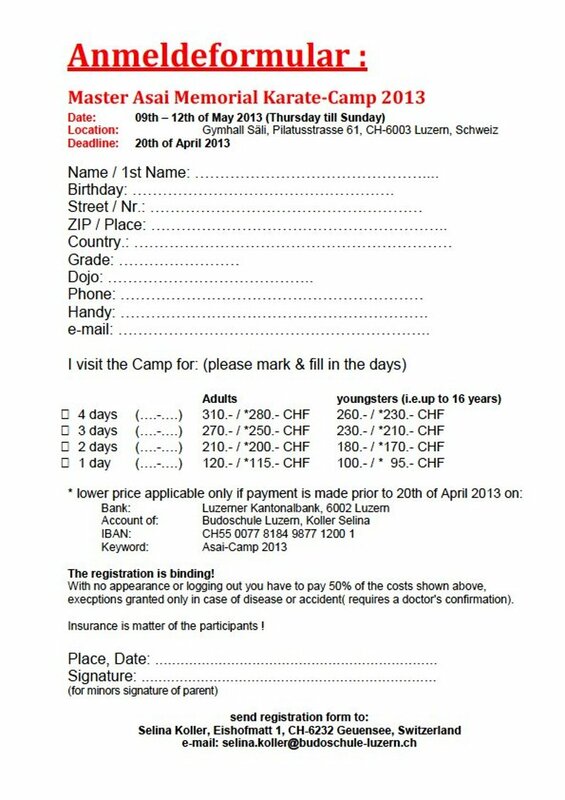 The admission is limited however, to those who love karate and has healthy mind and body. 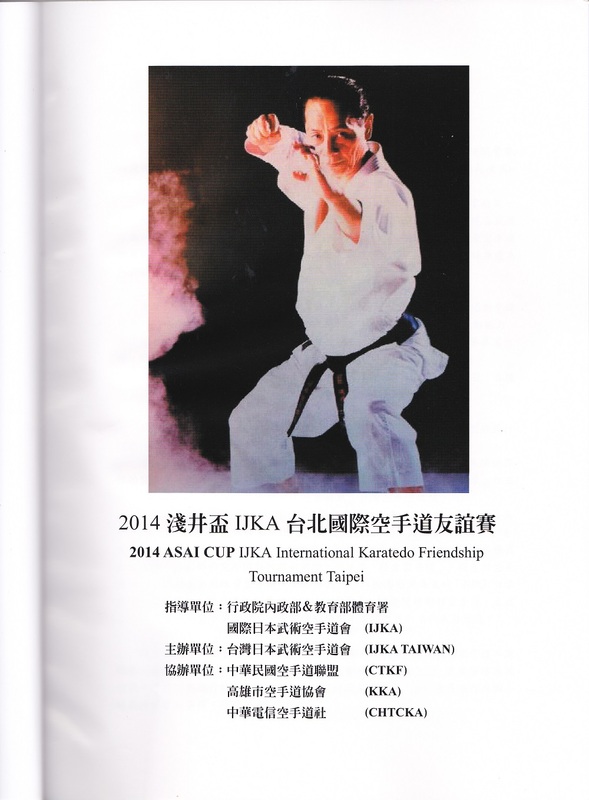 Click here for katas Master Asai created. Click here for information about fees. 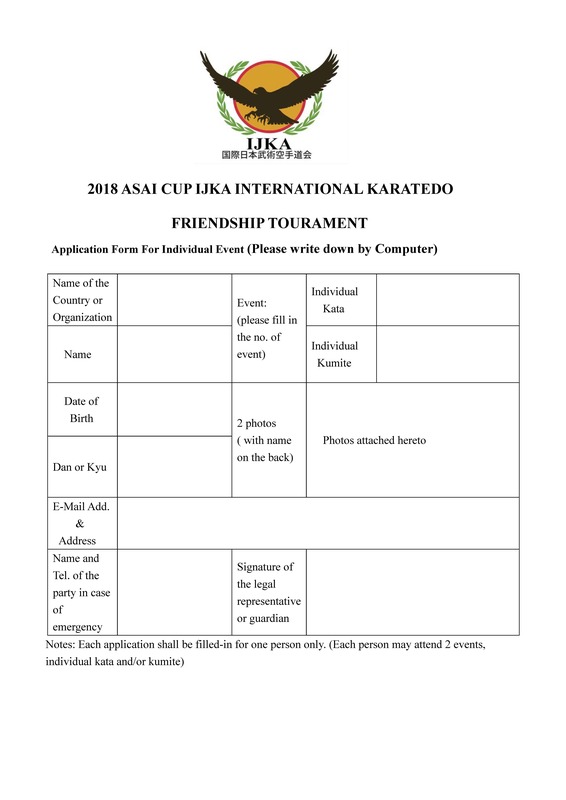 On the occasion of the commencement of Asai Cup IJKA International Karate Friendship Tournament for the year 2014, I wish to extend to you my heartfelt congratulations. I also wish to thank everyone who has spent copious efforts into making this great event a reality. 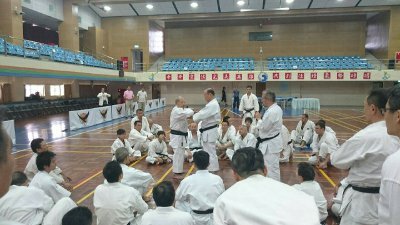 The All Japan Shaolin Butoku Association窶冱 relationship with the IJKA Shuseki Shihan Chen Hunt-tsung sensei goes back over 30 years, to when my father, the second Soke Yoshitaka Morizane, met Chen sensei. 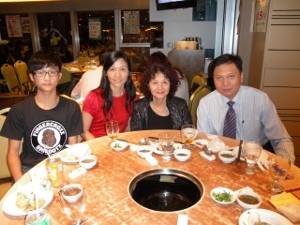 My father travelled to Taiwan to meet a true butoka. 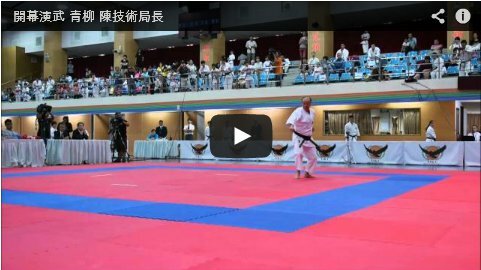 He became acquainted with the White Crane Fist Chen sensei, and came to know first-hand the greatness of the White Crane Fist. He told me that he visited Chen sensei on numerous occasions thereafter and maintained a connection with him as fellow butoka, respecting each other窶冱 ryu-ha and techniques. I would like to use this opportunity to express my sincerest gratitude on behalf of our former Soke, to whom he placed absolute trust, for having this good rapport as two true butoka. This relationship is still well and strong today. Two years ago when we held our All Japan Shaolin Butoku Association 60th Commemoration we had the honor to invite over 30 people, including Chen sensei from IJKA, and see the wonderful embu. 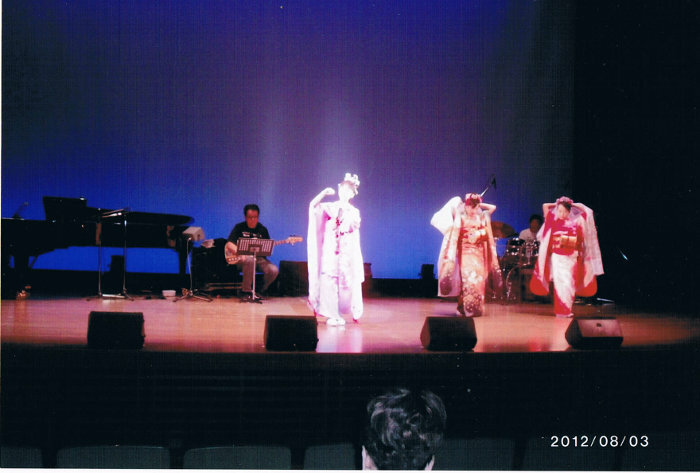 As a performance from Shaolin Butoku窶冱 friend organization, we were able to make a good impression to our kenshi and their families for having the breadth and the depth in our connections. Thank you again for participating in our event. I sincerely wish for our relationship to grow stronger, and our exchange to become even more active in the days to come. 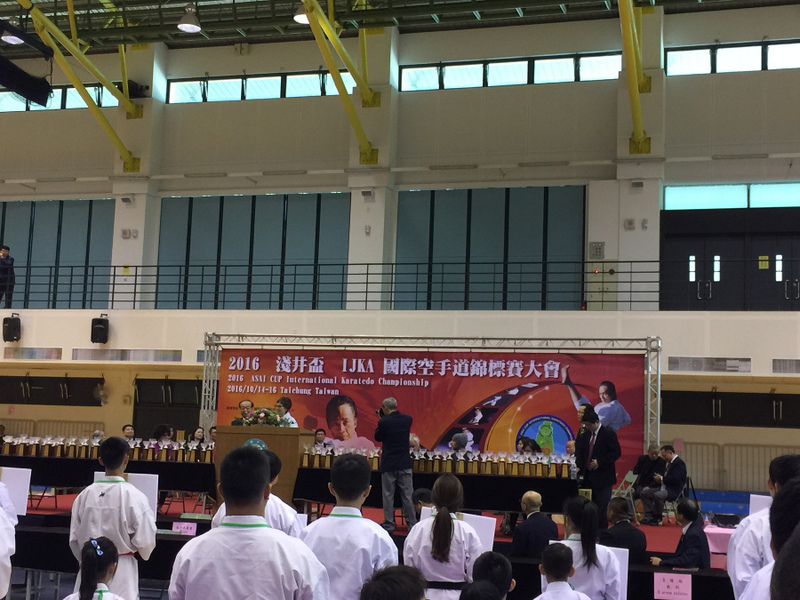 Lastly, please allow me to congratulate again on the 2014 Asai Cup IJKA International Karate Friendship Tournament, and wish you all a great success, and a continued success of the organization. Thank you. In addition, members from All Japan Shaolin Butoku Association performed the great embu. 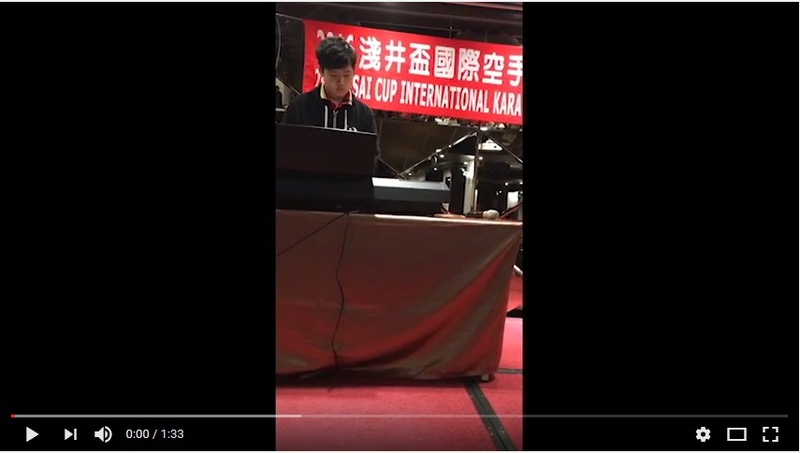 At the press conference held the day before the 2014 Asai Cup IJKA International Karatedo Friendship Tournament held on September 26th in Taipei, Taiwan, boy of a mere six years old鬆ｼ迹櫁ｬ冀ravely performed an embu along with his sister鬆ｼ莠ｭ隲� (senior at her junior high school) and her father鬆ｼ諤｡螳�. Her cute gestures including stepping ahead of her family before the performance and checking the standing position charmed the people around him. 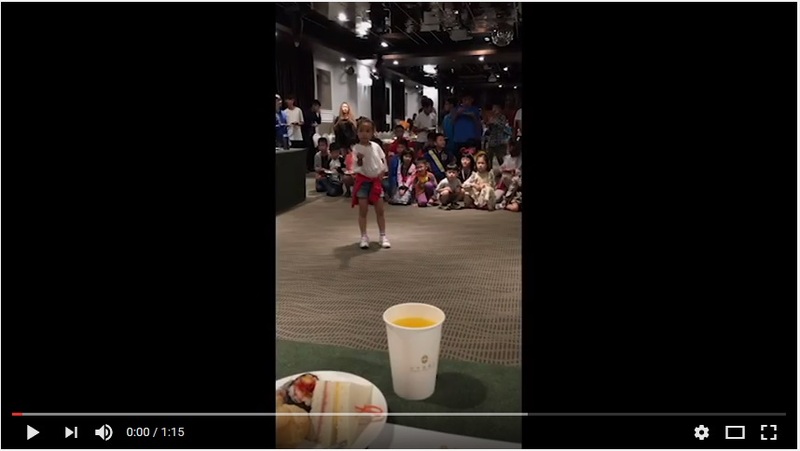 蜉画�墓��, now in her third grade, is the cutest karate champion who has been winning all karate tournaments in Taiwan including the Taiwan Karate Tournament. 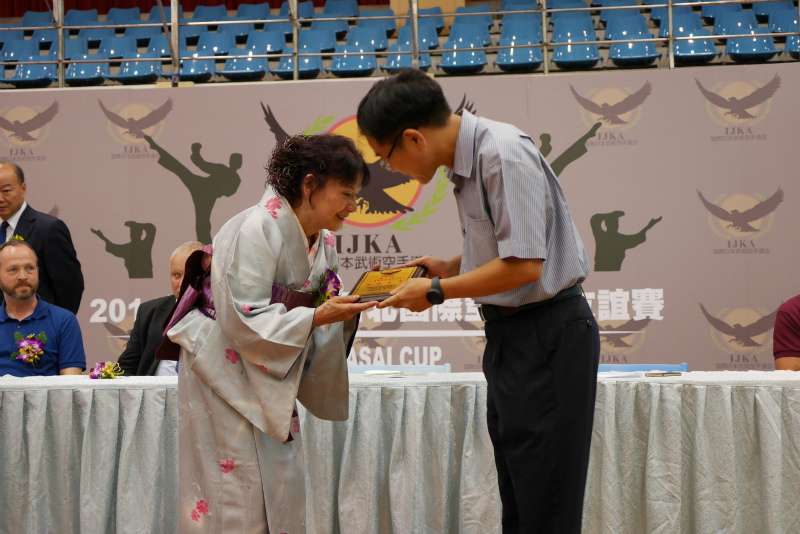 She also claimed the championship at the Asai Cup. What is more is that she is very well mannered and honest that her personality excels her karate skills. Her performance all around touched everyone. 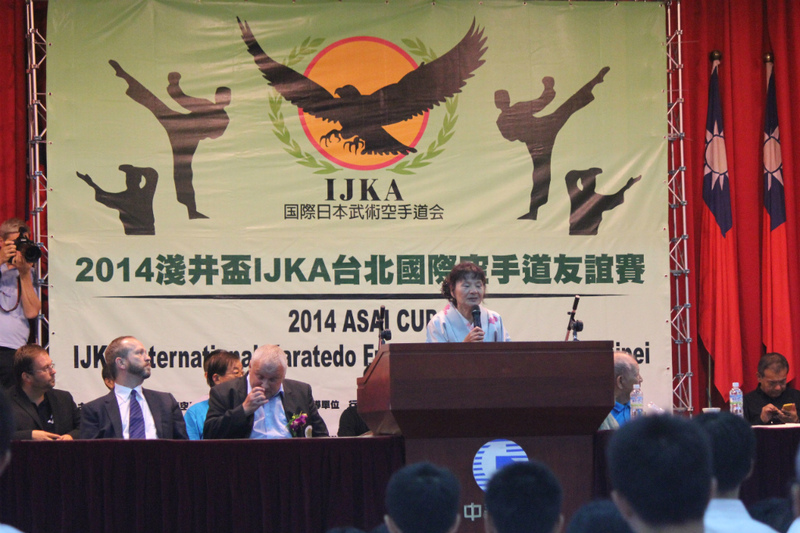 We had a great turn out at the 2014 Asai Cup IJKA International Karatedo Friendship Tournament held on September 27th. 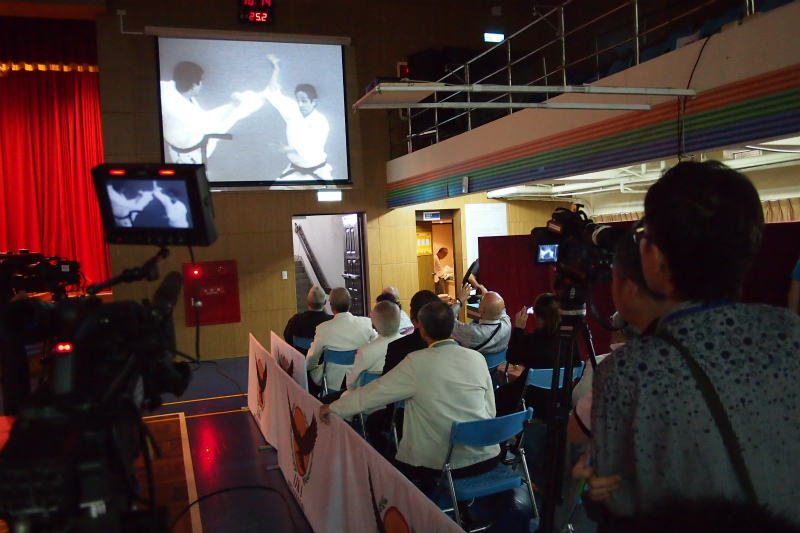 After the opening ceremony, the participants all watched the footage of the late Master Asai showing his karate skills. The footage was taken at the 1961 All Japan National Tournament (more accurately an international event, as many contenders joined from outside Japan.) He fought with Hirokazu Kanazawa at the preliminary, and continued winning straight through all other rounds against eight tough opponents including Kusumoto, Mikami , and Shirai , and finally winning the championship. 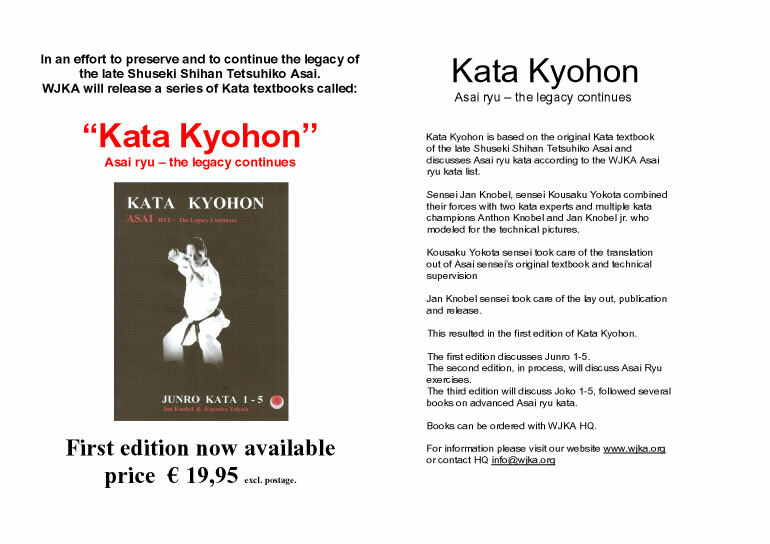 The audience watched the footage intently, and those who were inheritors of Asai Karate all expressed how much they missed him. 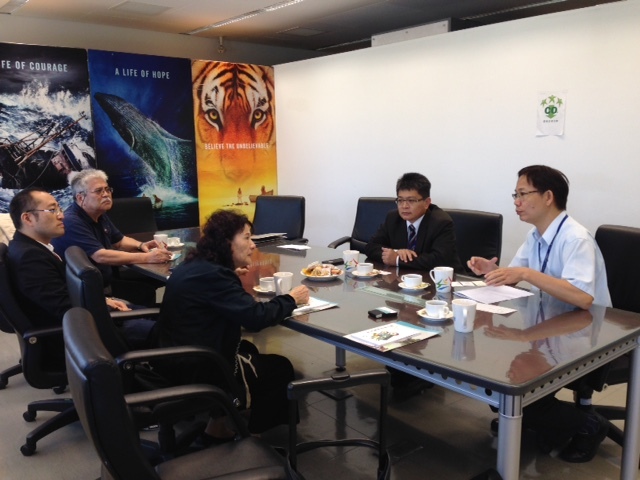 We held a press conference on September with many reporters from various newspaper companies and TV stations. 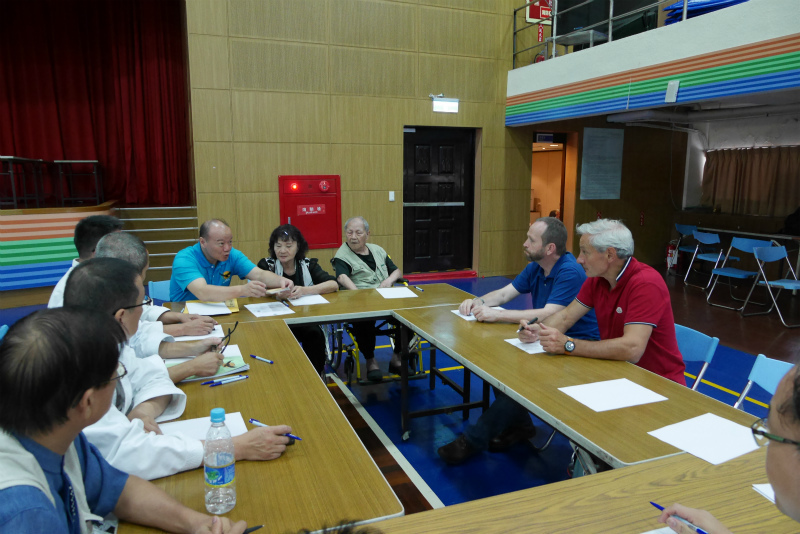 and the board members who spent many months preparing for the tournament day and night. 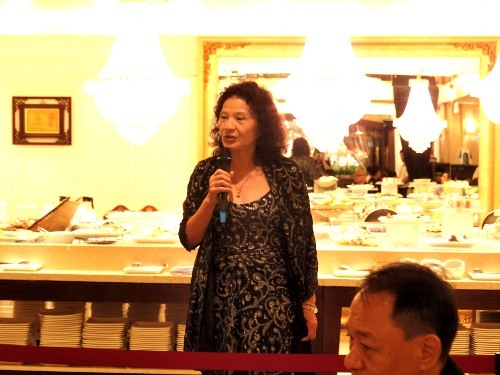 I am also grateful that for the generous donations many people made, which helped pay for the event! Thank you also for those who showed abundant hospitality who volunteered to chaperon and host international participants with every meal, which they did with passion. 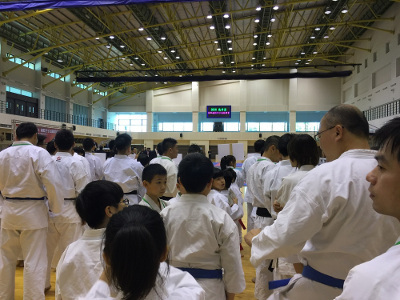 It was very touching and I could not help but be teary to see Master Asai窶冱 students all together, and on the last day hugging each other as they parted. I am certain that Master Asai was also happy to see that from heaven. So I thank everyone one more time. Thank you. 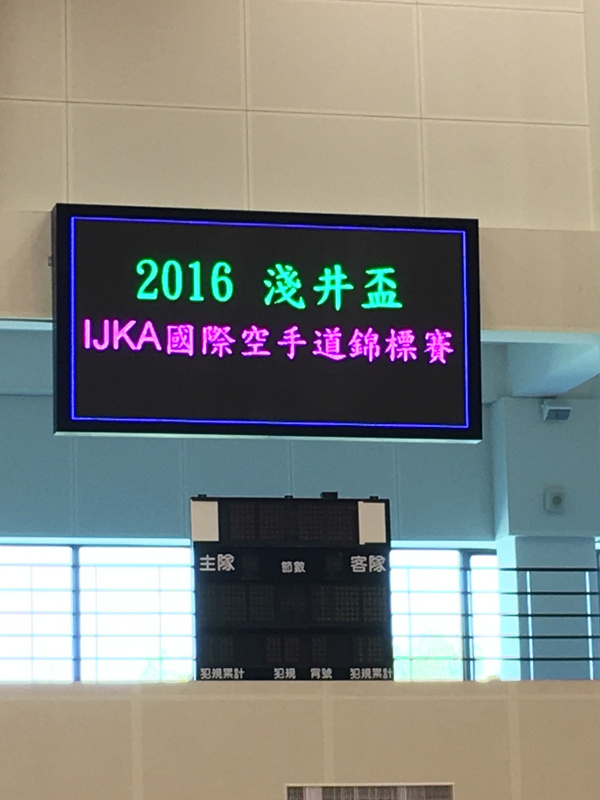 The participants told me that they were 窶徨eally proud of our IJKA because IJKA has warmth and the strongest passion towards karate.窶� I was very happy to hear this. and even higher when the Technical Office head Chen Hsin-koei, who received Master Asai窶冱 strict training for 30 years, performed the kata of 窶彜eiryu窶� for the first time and taught it to the participants. 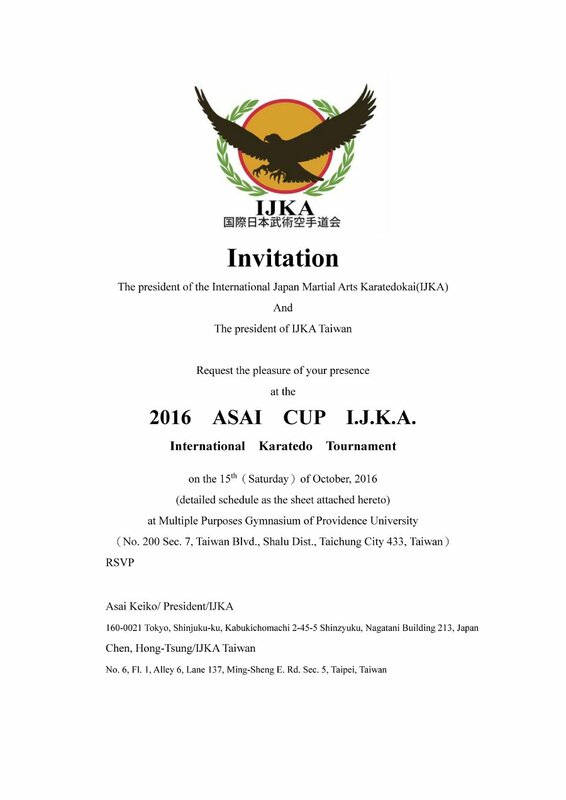 After the tournament, we received many calls from Master Asai窶冱 former students from Mexico, Sri Lanka, Pakistan and other countries. 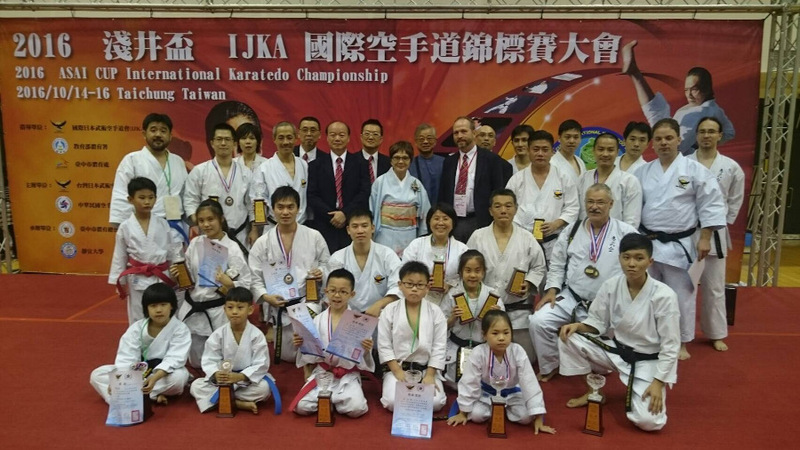 We are honored to have had so many participants at the 2014 Asai Cup IJKA Taiwan International Karatedo Friendship Tournament. 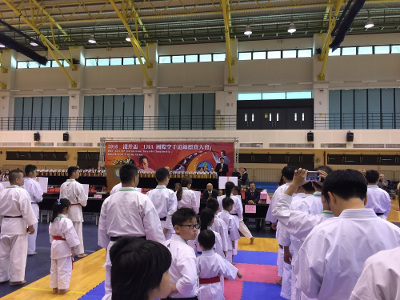 In Taiwan especially, many people came from all over the island to celebrate the memories of 窶徼he father of Taiwanese Karatedo,窶� Tetsuhiko Asai. 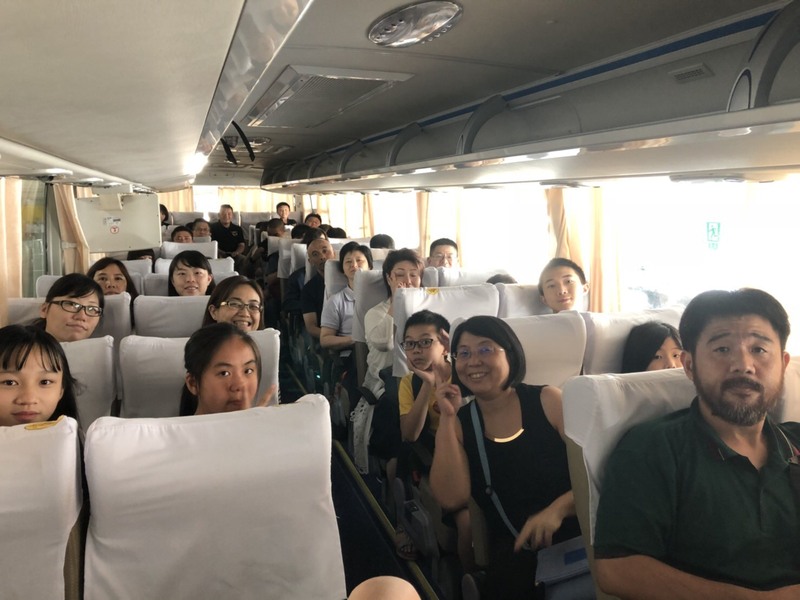 Including those from abroad, most of Master Asai窶冱 former students brought their own students and their students窶� students. 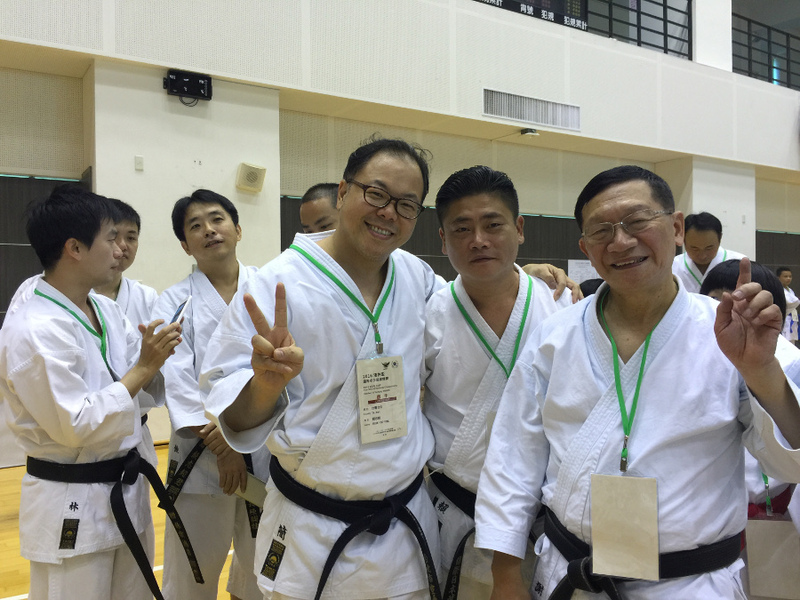 Yoshihiro Morizane Sensei, who kindly brought ten high ranking sensei窶冱 from his organization and performed an embu. 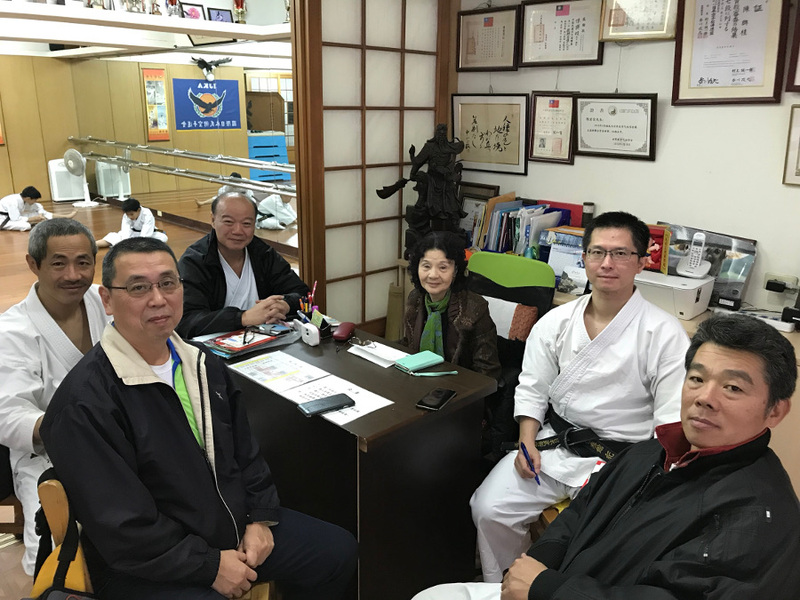 Morizane sensei and the Shuseki Shihan of the IJKA, Chen Hunt-tsung share a thirty years of friendship over two generations. 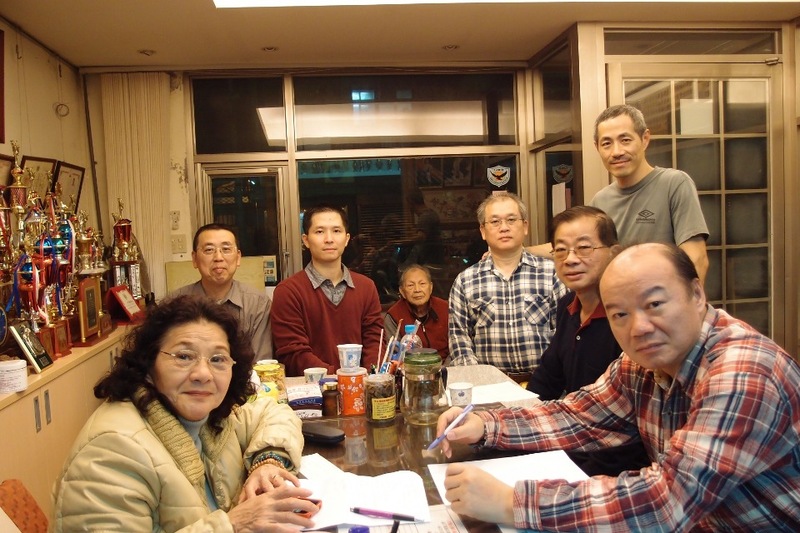 In Taiwan, 窶彗ny comers are our guests.窶� Especially when the visitor is a husband of my sister and let alone the practitioner of bujyutsu, it was only natural that we set up a party to host him with great hospitality. 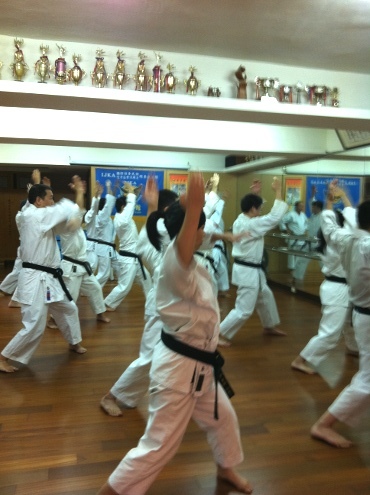 From the next day, my teacher put all of his students under Asai sensei for training. 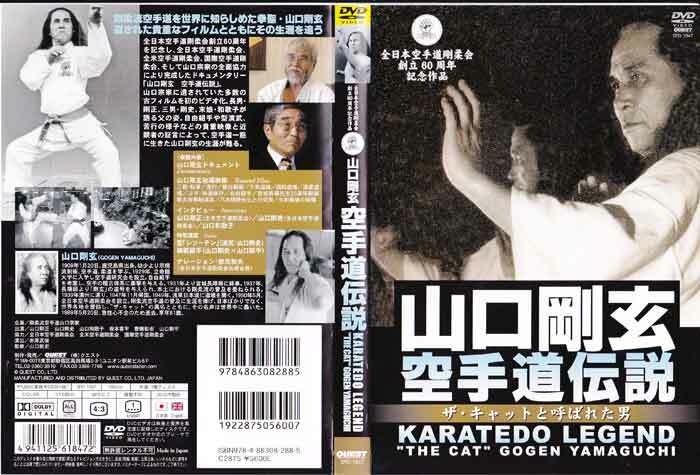 This was the seed of Taiwanese karate. 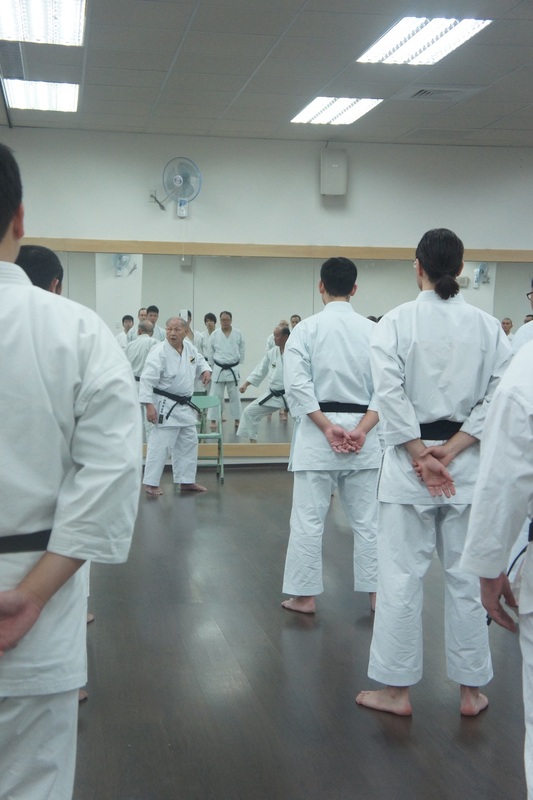 During the mere month he taught us the basic bujyutsu of karate, explained detailed training methods and key points, and gave us a set of documents that further clarified his points. 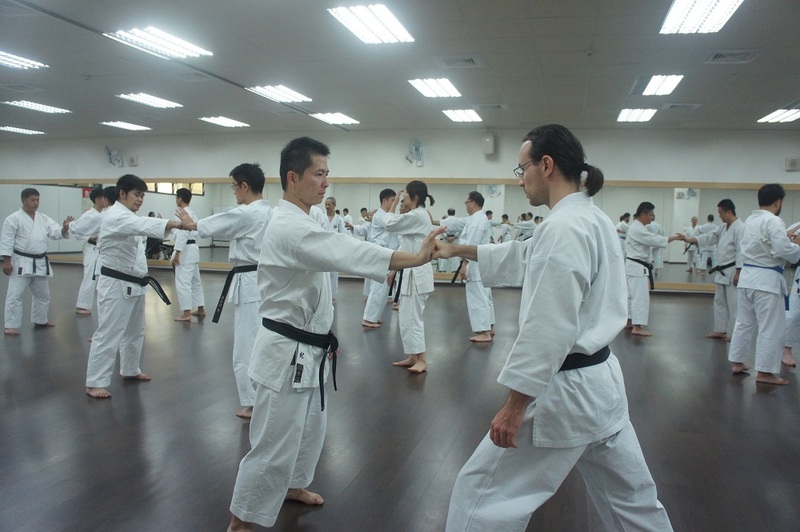 At the same time, Asai sensei felt the power of the White Crane Fist and the arcana of the Seven Section Whip that he asked me to show him some of the White Crane Fist窶冱 kata and kumite, as well as some points of the Seven Section Whip. To our surprise, in less than ten days, Asai sensei mastered more than 2/3 of the bujyutsu that took me over ten years to learn. We could not but be in awe of his natural talent for bujyutu and his spirit and the determination for training. 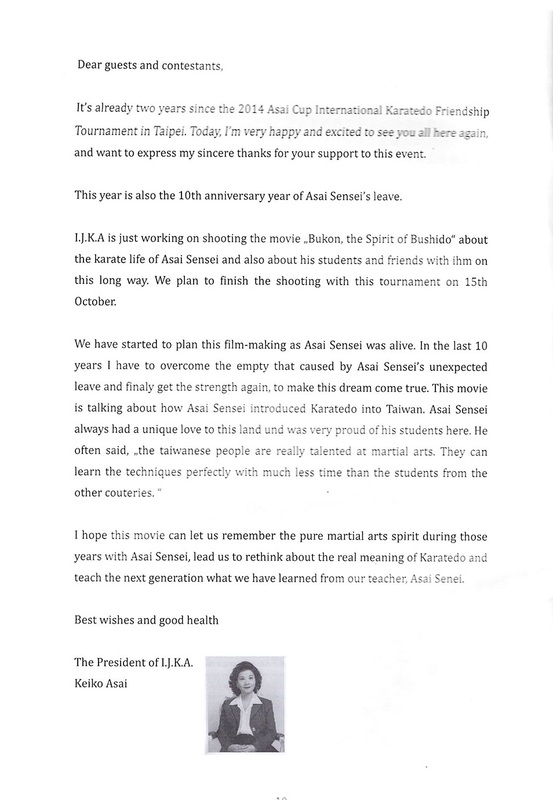 Our respect for Asai sensei grew even more. He then was sent to Hawaii to teach karate there for five years. During those years, we kept learning under him through letters and pictures, asking him about various techniques and problems. able to attack first, which all lead to the even more powerful original Asai Karate. 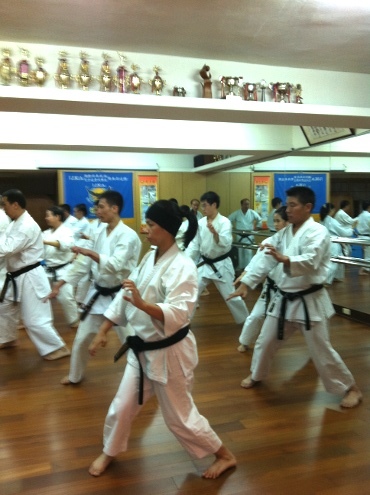 became Shuseki Shihan for both groups. Every year, we exchanged visits, and every time I noticed that he added new techniques to his karate. I am happy that we were able to come together today to train and push each other to a higher level. We have just returned from Taipei. 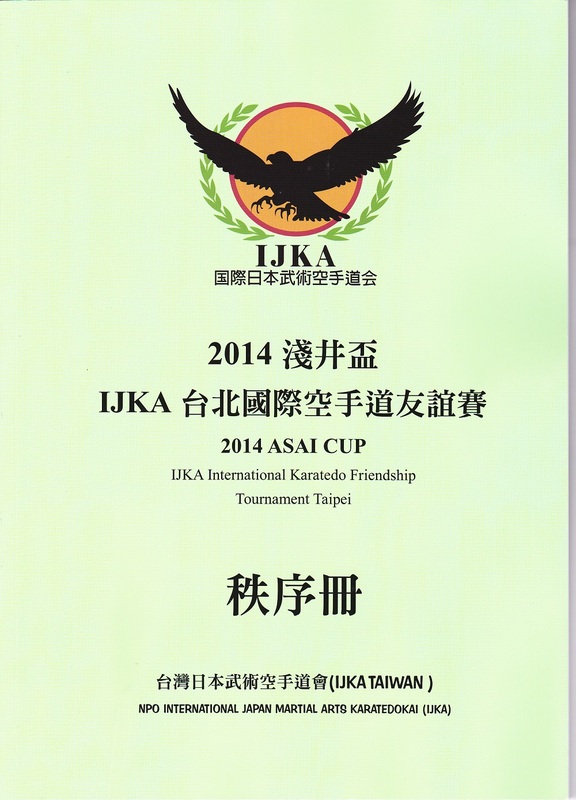 The 2014 Asai Cup IJKA International Karatedo Friendship Tournament ran smoothly and ended with great success. This could not been possible without everyone窶冱 cooperation, and we thank you from the bottom of our hearts. 28th next month is gaining momentum as the date approaches. and parents of the students at the dojo are all working hard doing their part. They are also contributing generous donations and are definitely all getting excited preparing for the tournament. 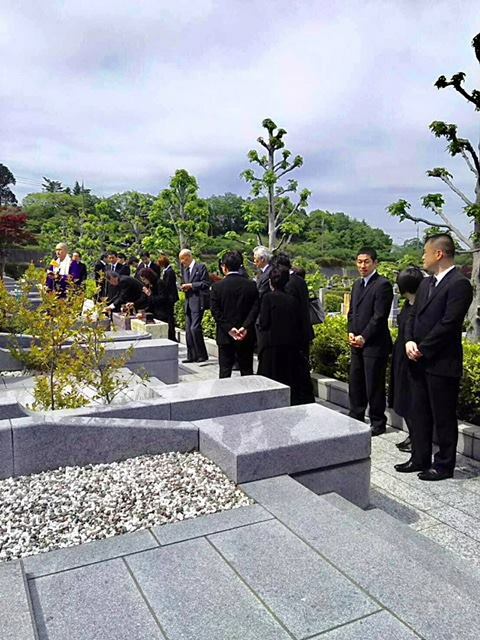 On August 5th, a solemn memorial service was held at Tokyo Cemetery in Takao City, Tokyo, to mark the 7th anniversary of Master Asai窶冱 passing. About 50 people, including the Asai family and those from the karate world, attended the ceremony. 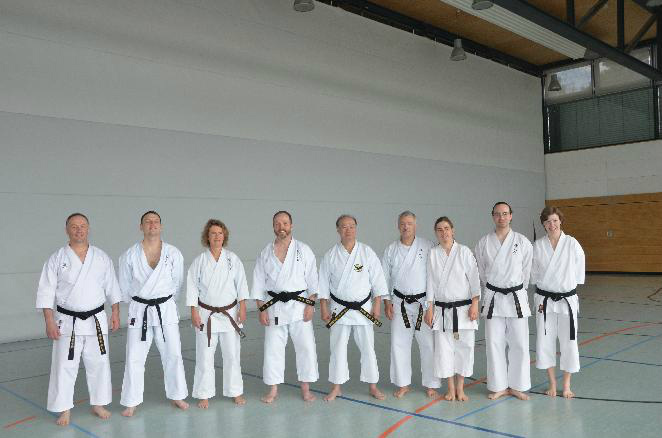 We, IJKA, welcome former students of late Master Asai from around the world and those who support Asai Karate, to practice karate in a friendly environment as a karate family. 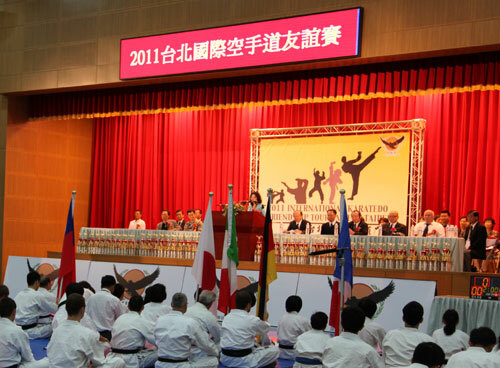 On August 6th, 2011, we are hosting the International Karatedo Friendly Tournament in Taipei, Taiwan. We are reaching out to you today to invite you to join our organization and/or co-host the tournament upon forming a friendly association with our group. 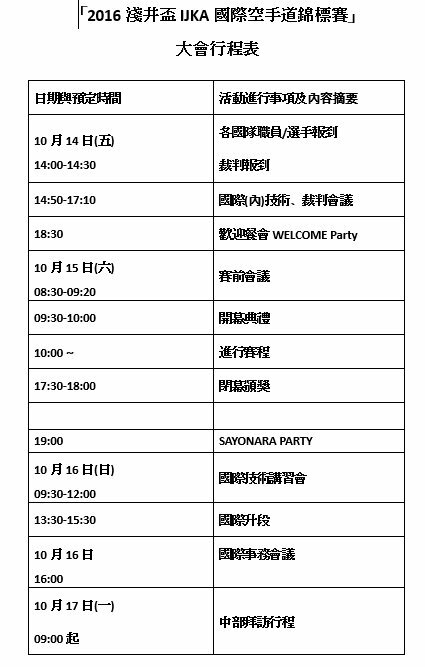 The Dan test schedule has been changed to August 15th, starting from 16:00pm after the Master Asai Memorial Event. 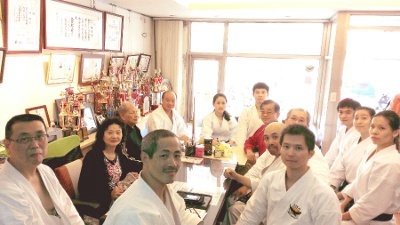 The location is the same, at the main Dojo in Taipei, Taiwan. 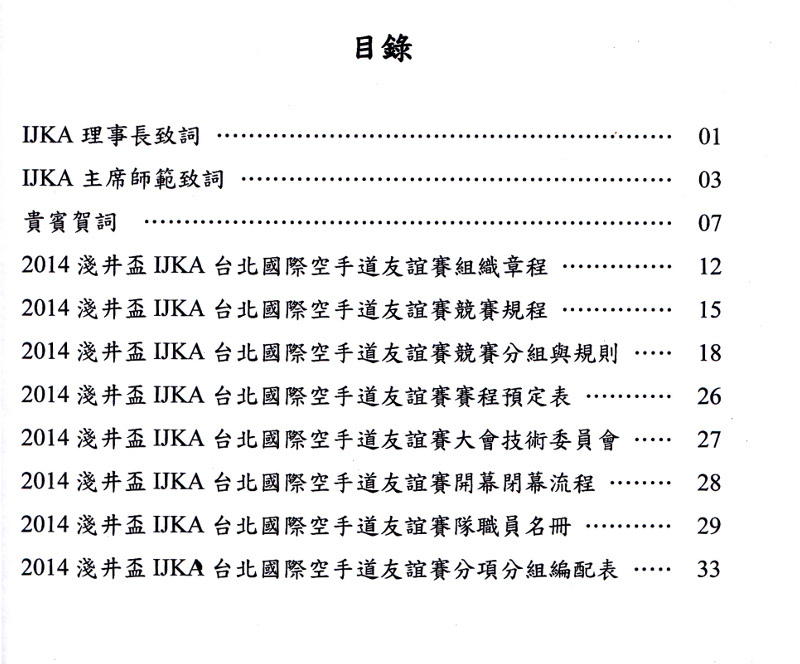 IJKA Headquarters Administrational Office has received responses from members in Russia, Germany, Switzerland and other countries that they intended to come take the test. 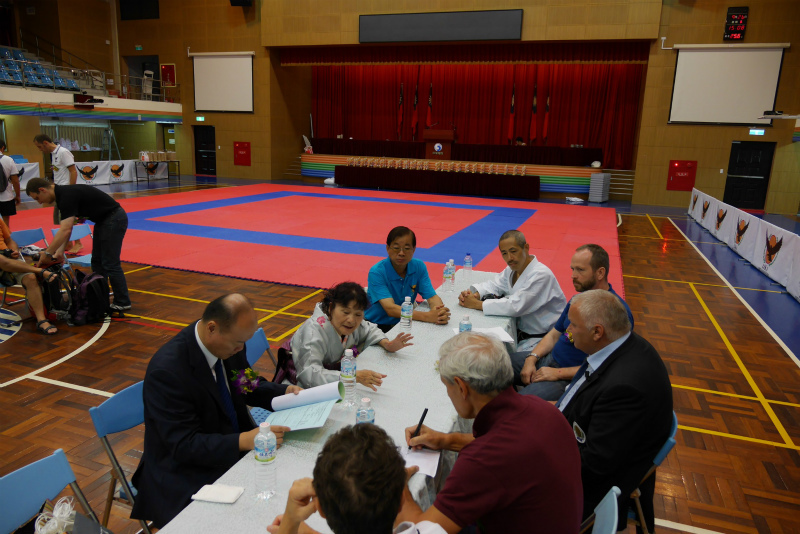 On August 16th, the day after Master Asai Memorial Event, a Dan test will be held in Taipei, Taiwan. 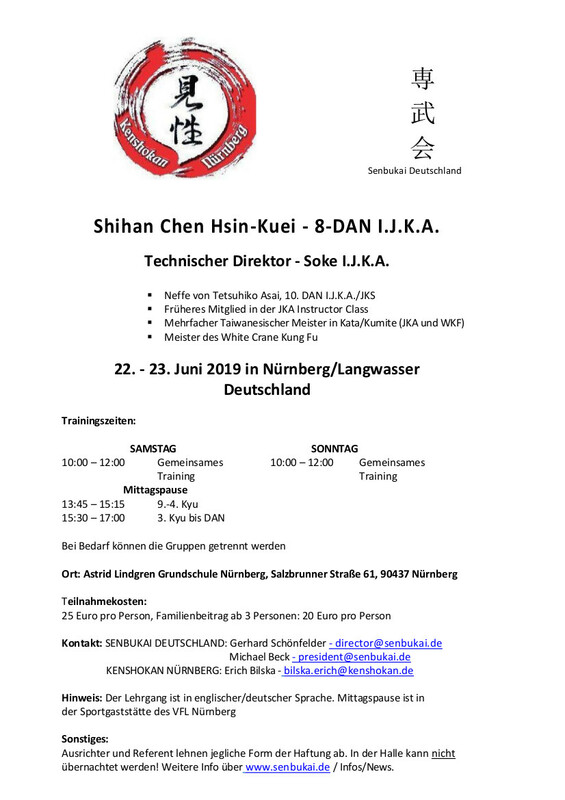 There will be those who are taking 6-Dan test and, in order to follow the Dan testing rules, Mr. Bruno Koller(7-Dan) from Switzerland will be there as a judge together with Assistant Chief Instructor Chen Hsien-Koei and Chief Instructor Chen Hontsung. 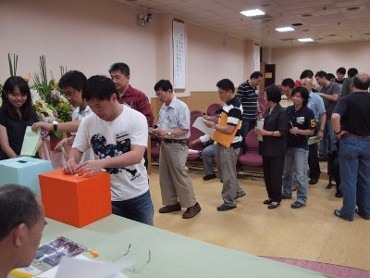 Members from outside of Taiwan are also welcome to take a Dan test. 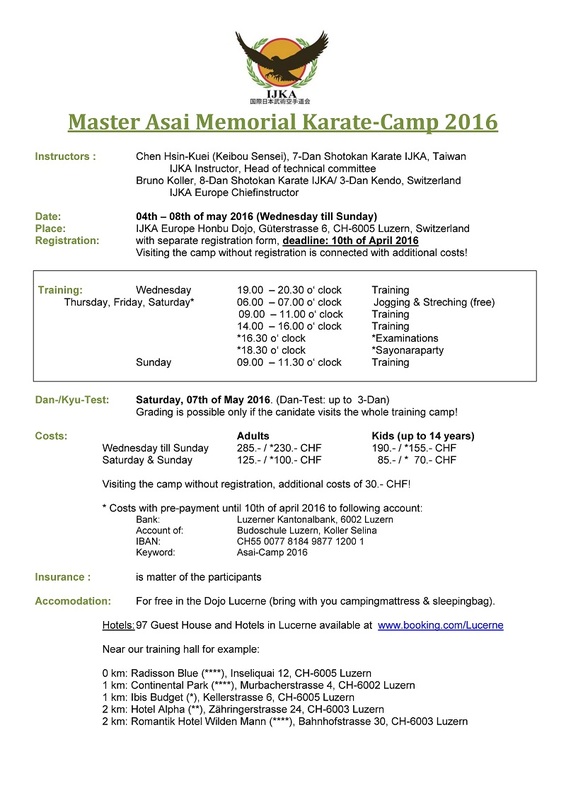 The planned Master Asai tribute event on August 15th has been postponed due to insufficient time for planning It was decided at the Instructor Meeting held in Switzerland on May 13th, on the same day of August 15th, IJKA Main Dojo will host a Master Asai's memorial event in Taipei, Taiwan instead. At the event, Master Asai's some of the best disciples will demonstrate Asai karate, and the Chief Instructor Mr. Chen Hongtsung will teach a class on Asai karate. Also to be demonstrated are the White Crane Fist technique Master Asai incorporated into Karate, and Qigong exercise that allows you to practice vigorous karate without harming your body. Considering the economical burden such as travel fees, IJKA has refrained from calling the members to participate, however you are welcome to participate or observe the event if you are interested. 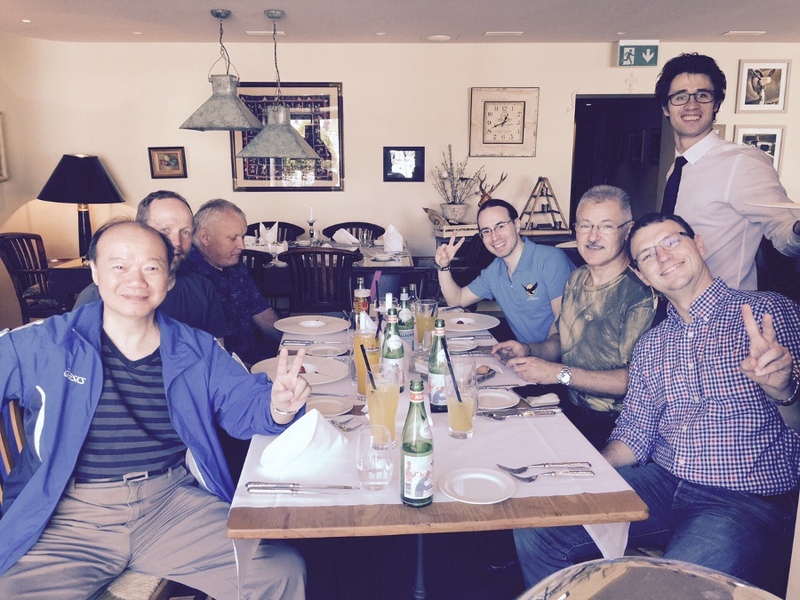 At The Master Asai Memorial Camp in Switzerland we were able to advance discussions over three meetings with instructors from six different countries: Switzerland, Germany, Russia, Italy, Japan and Taiwan. 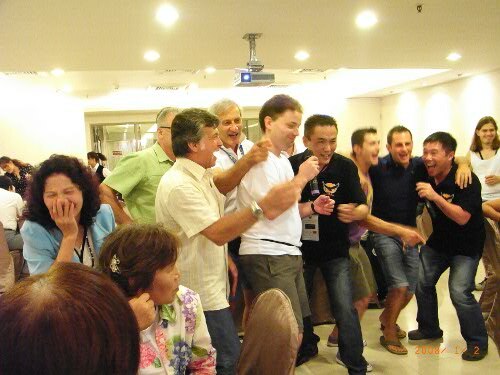 I also had a wonderful time with all the participants and this sense of joy is still lingering in my heart. I would like to take this opportunity to express my deep gratitude to those who participated in the event. Mrs. Keiko Asai, President of IJKA, met with Mr. Andrej Dormenko of Russia and talked about the situation regarding Dan-Diplomas. 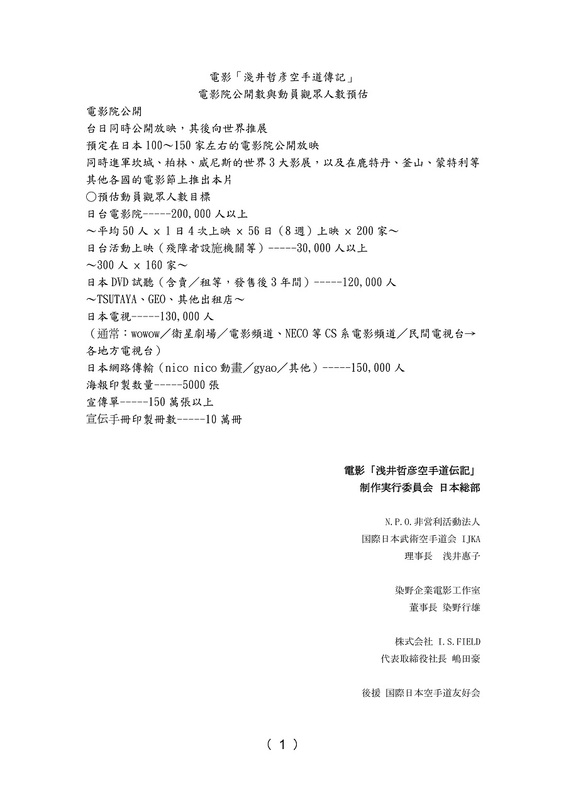 If you wish to purchase, please let us know by e-mail saying they want to purchase.